Tall Ship Götheborg in Gothenburg. 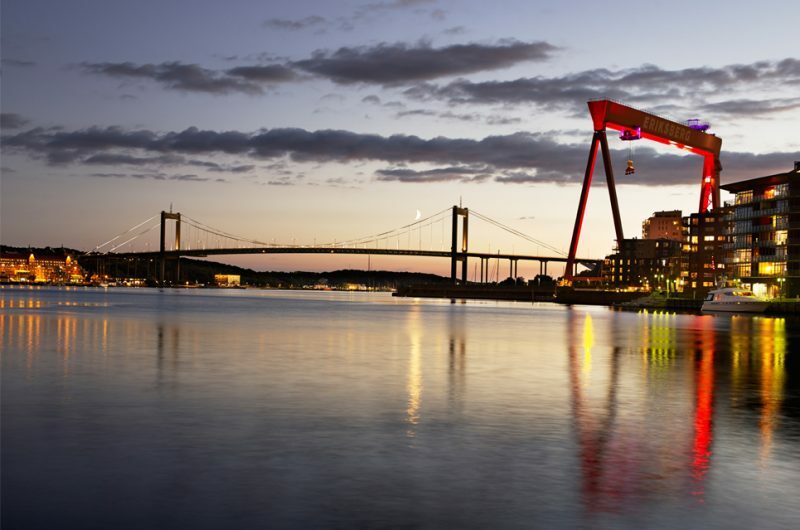 Göta älvbron bridge in Gothenburg. 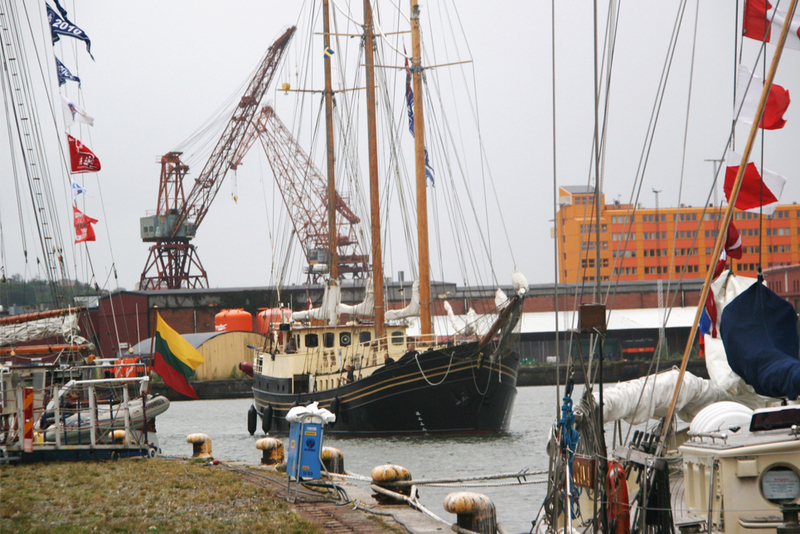 Ships in port in Gothenburg. 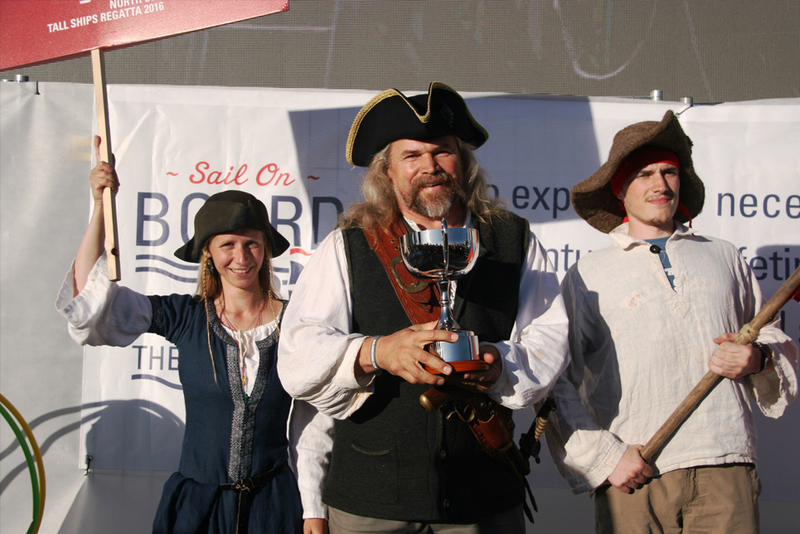 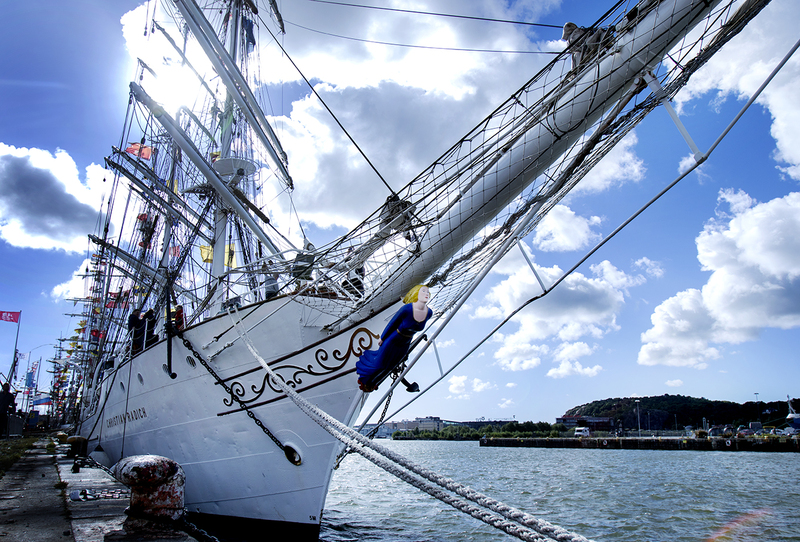 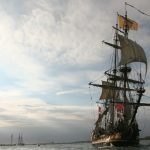 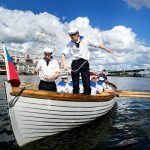 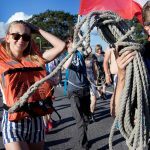 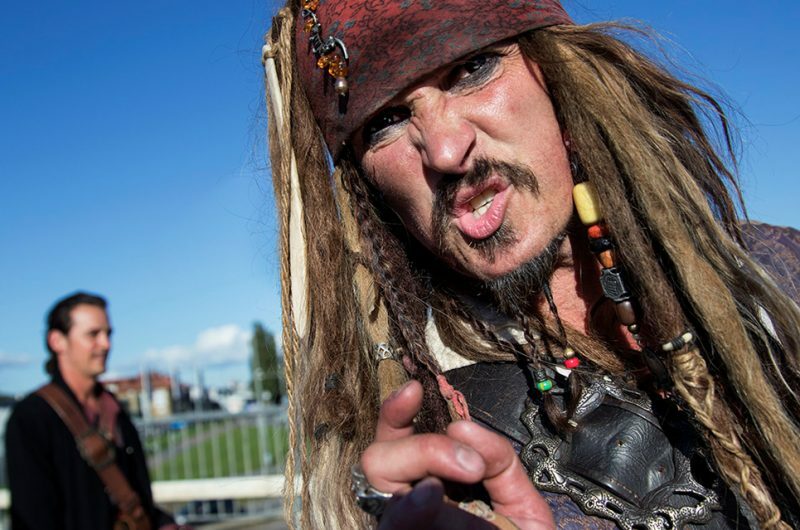 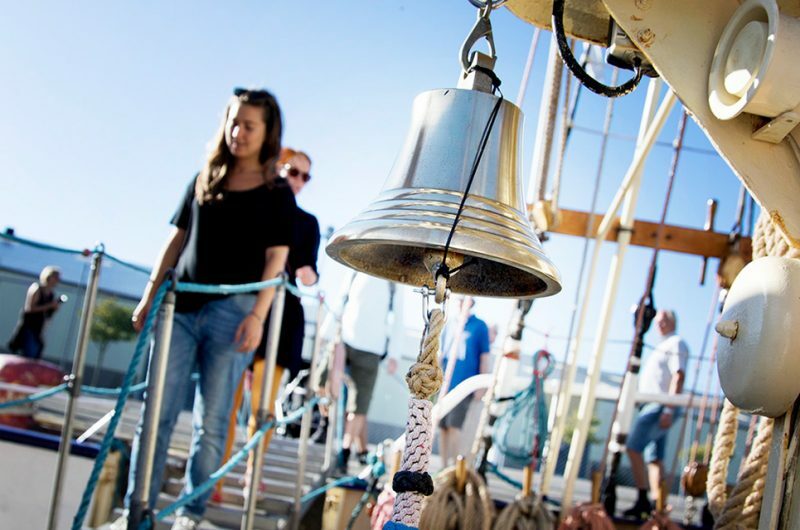 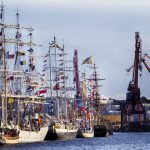 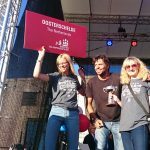 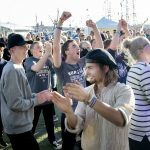 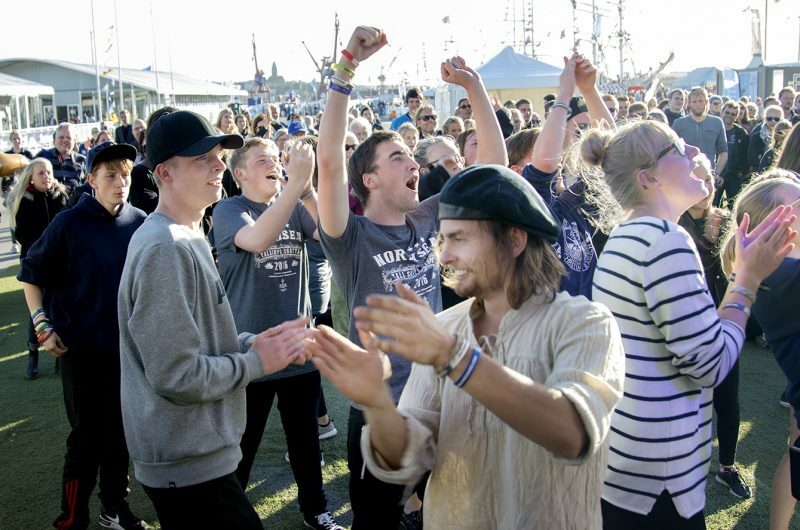 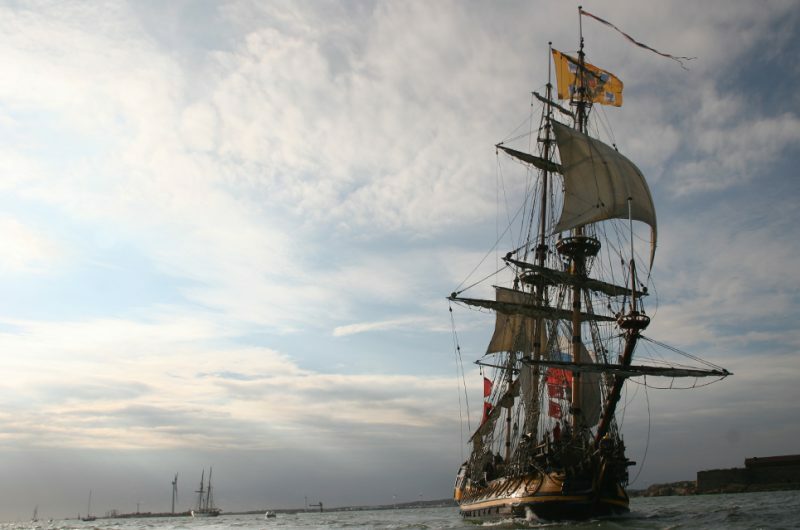 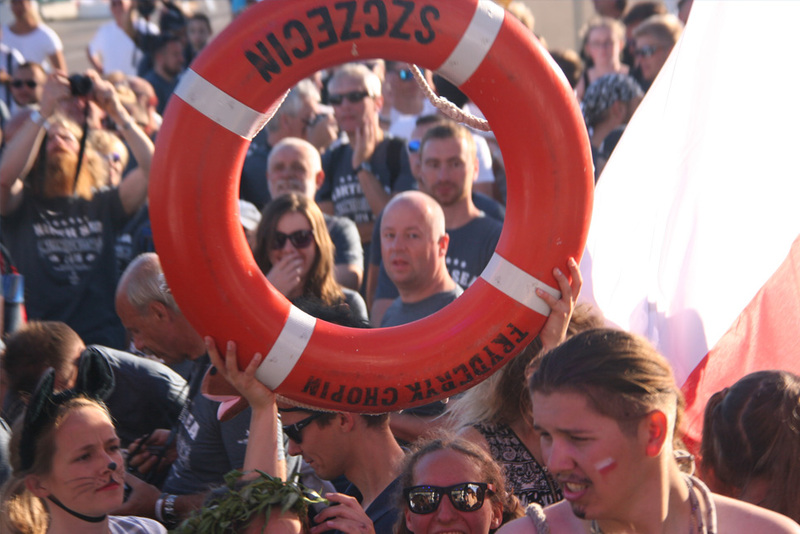 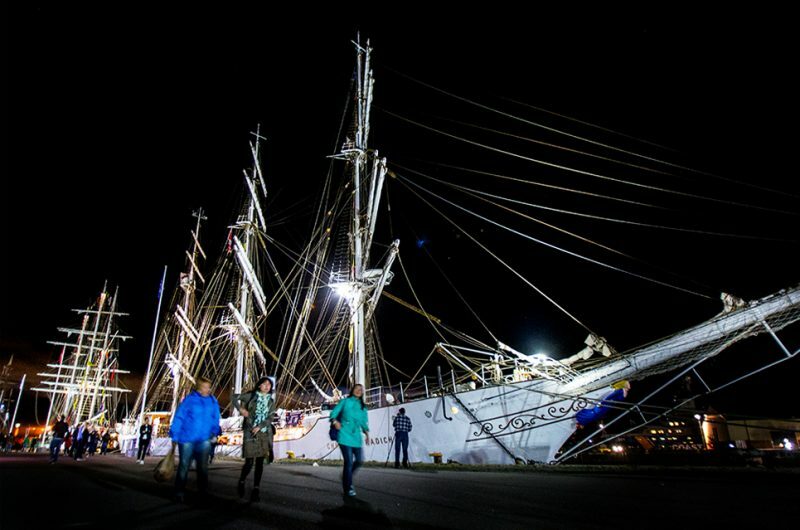 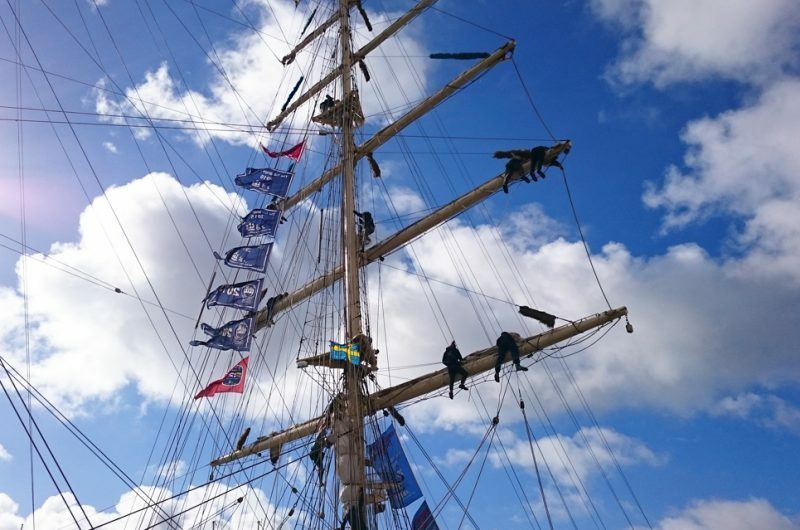 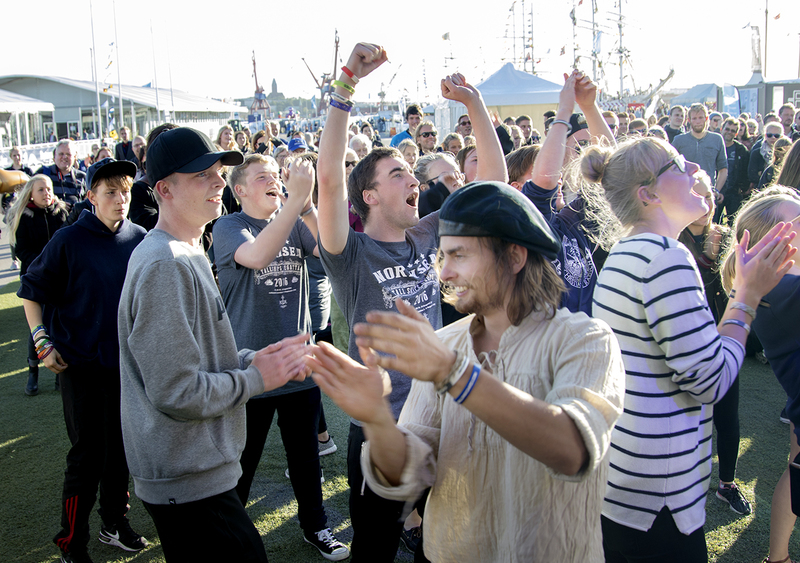 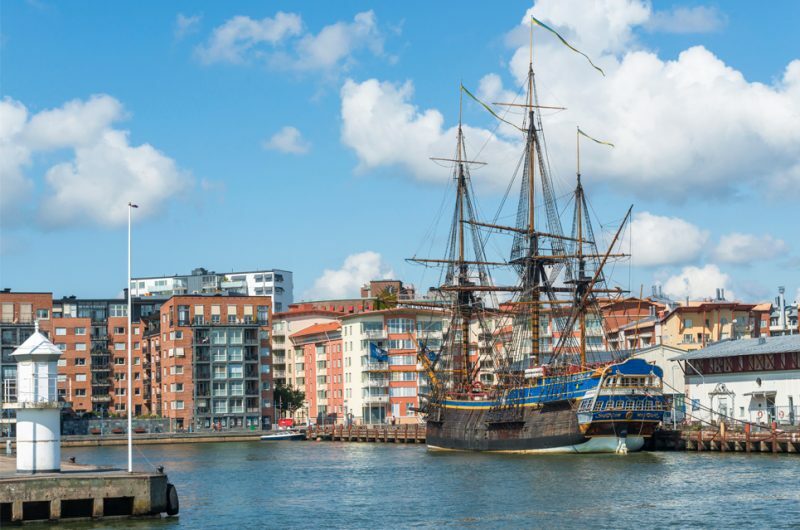 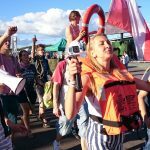 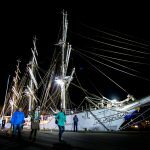 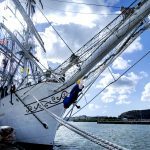 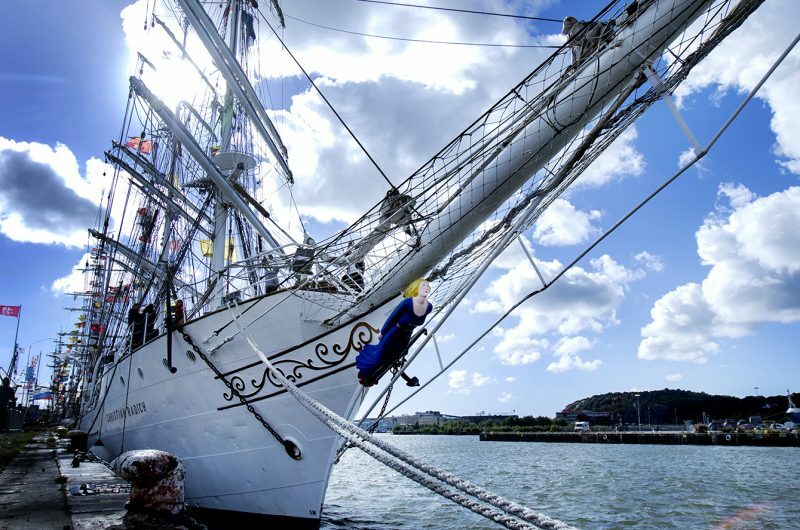 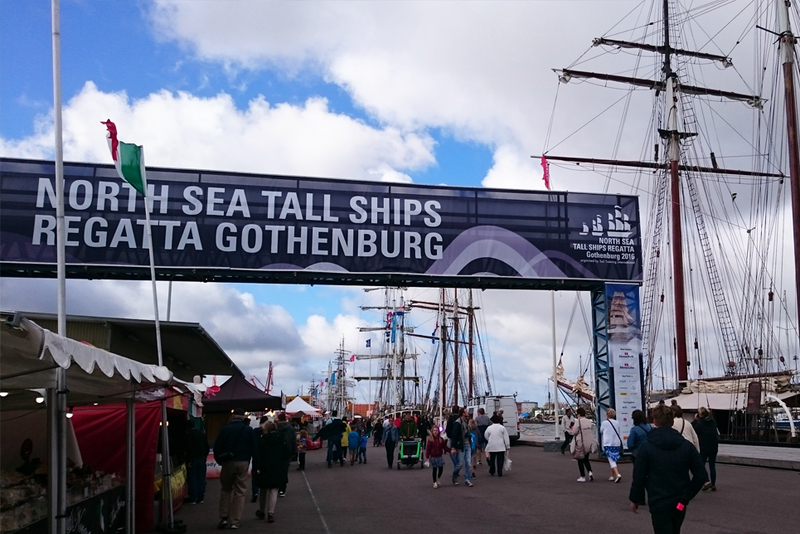 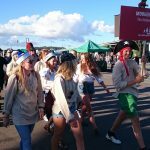 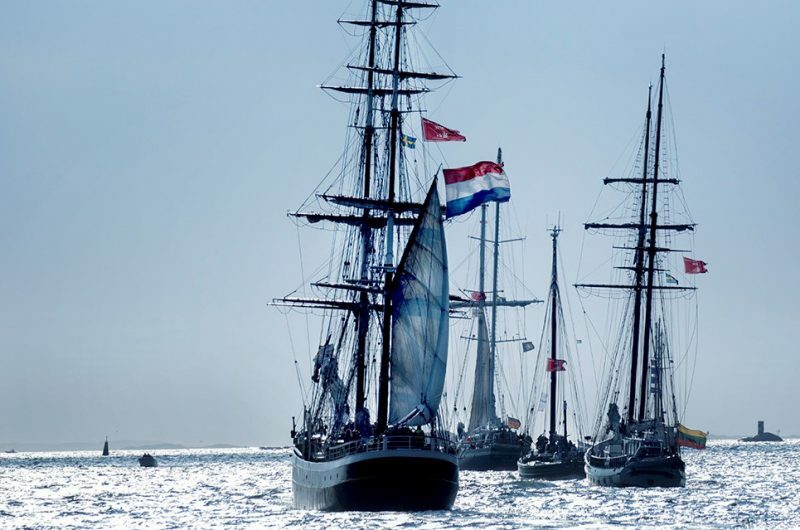 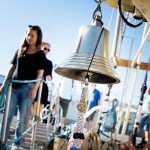 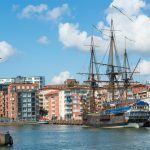 Welcome to the North Sea Tall Ships Regatta 2016 Gothenburg. Preparing the climb the mast on Challenger 3. 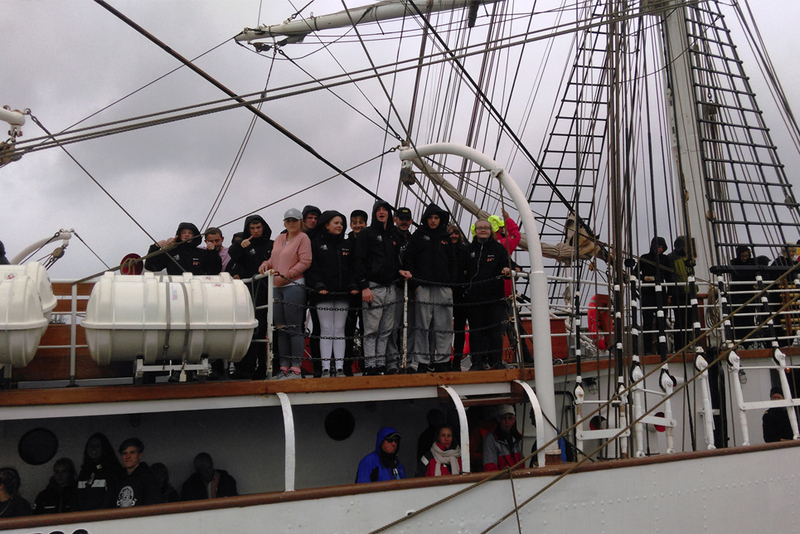 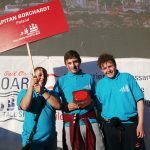 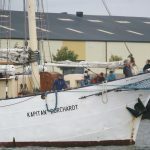 Crew members on board Kapitan Borchardt. 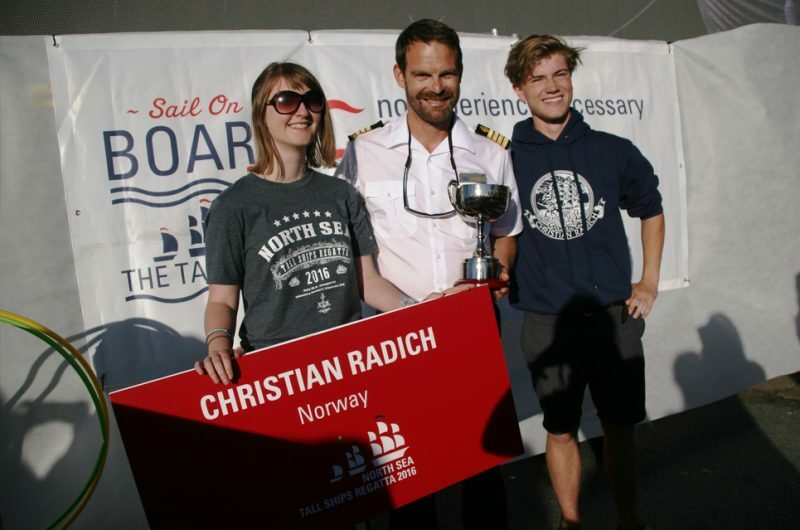 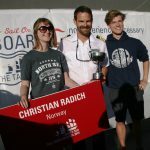 Trainees on board Christian Radich. 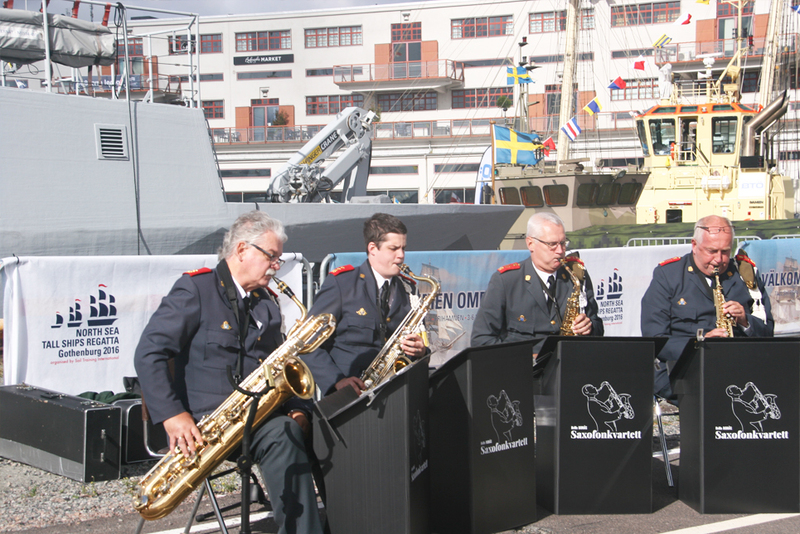 Enjoying the brass band in Gothenburg. 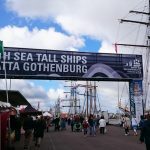 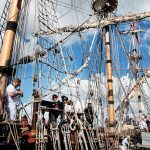 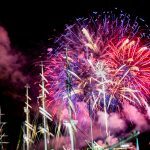 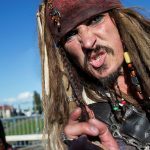 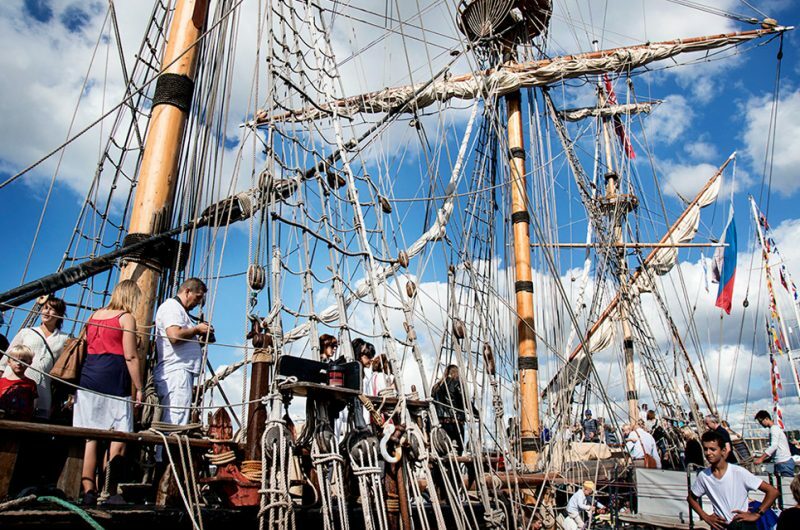 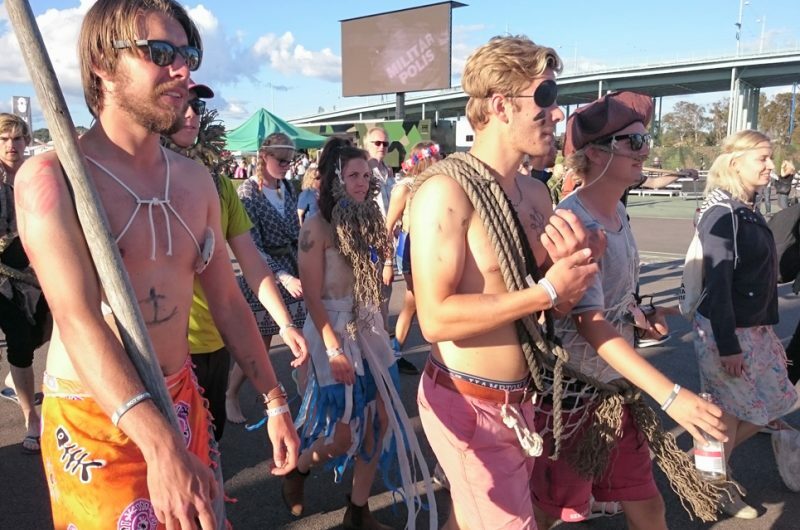 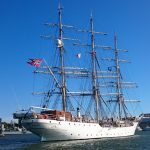 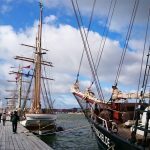 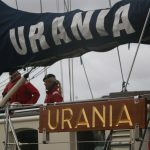 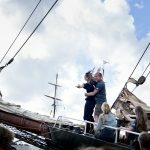 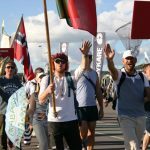 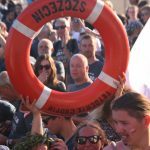 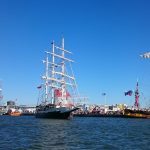 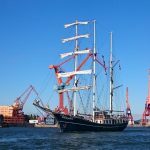 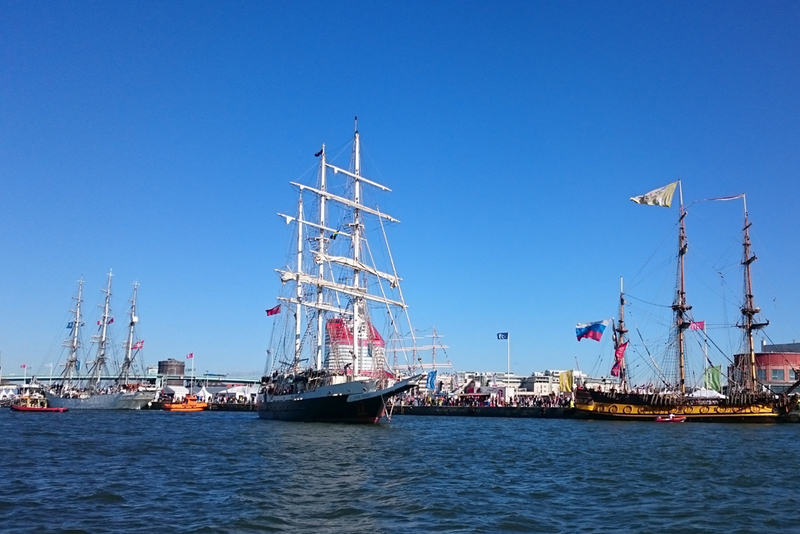 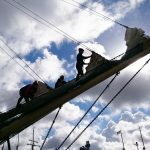 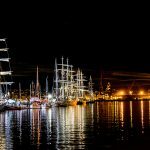 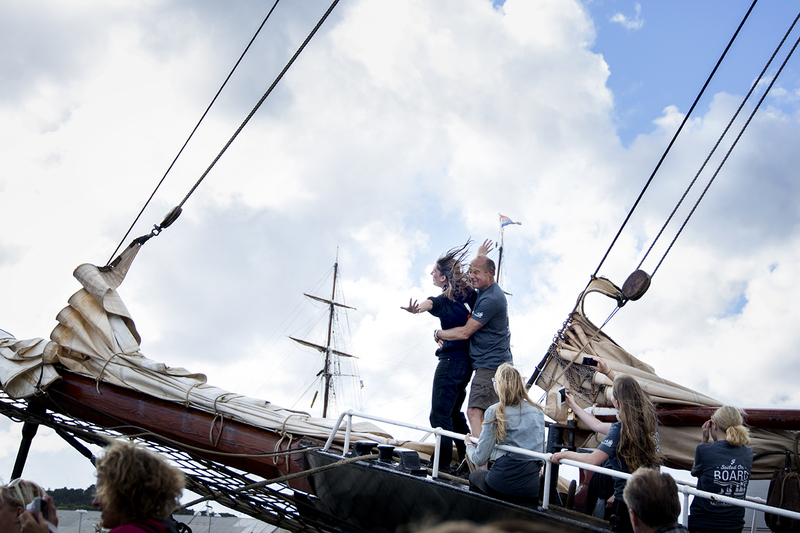 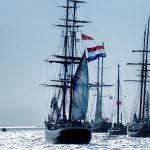 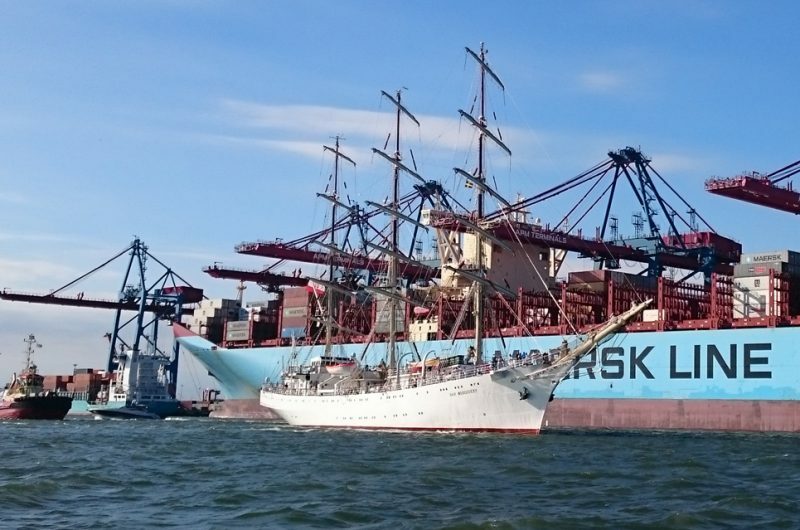 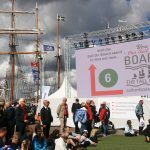 The North Sea Tall Ships Regatta 2016 Gothenburg. 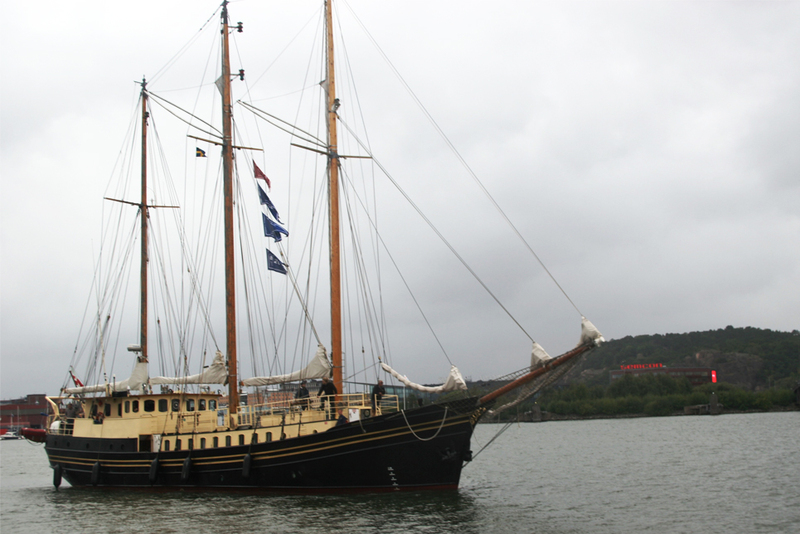 On the bowspirt of Fryderyk Chopin. 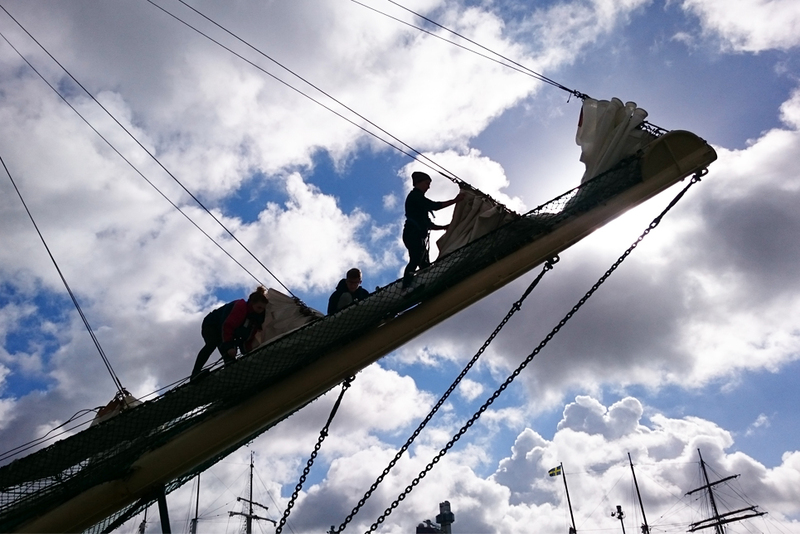 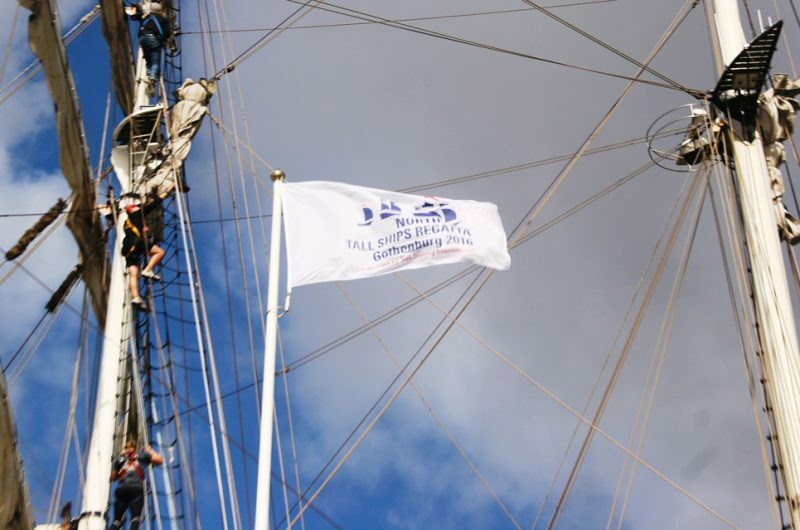 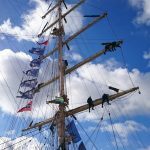 Climbing the masts on Fryderyk Chopin. 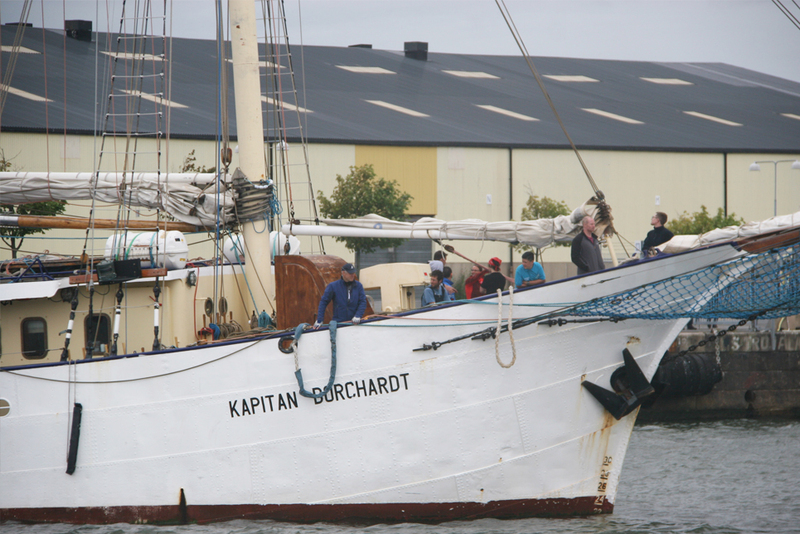 Johann Smidt arriving in Frihamnen. 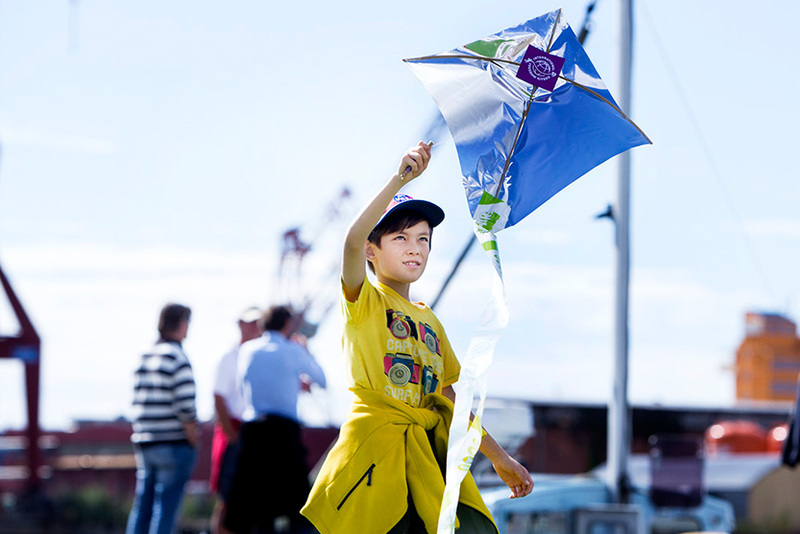 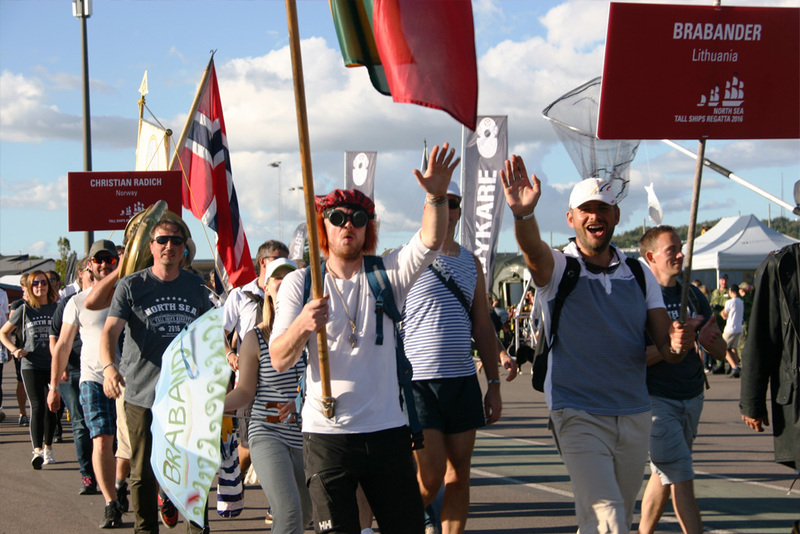 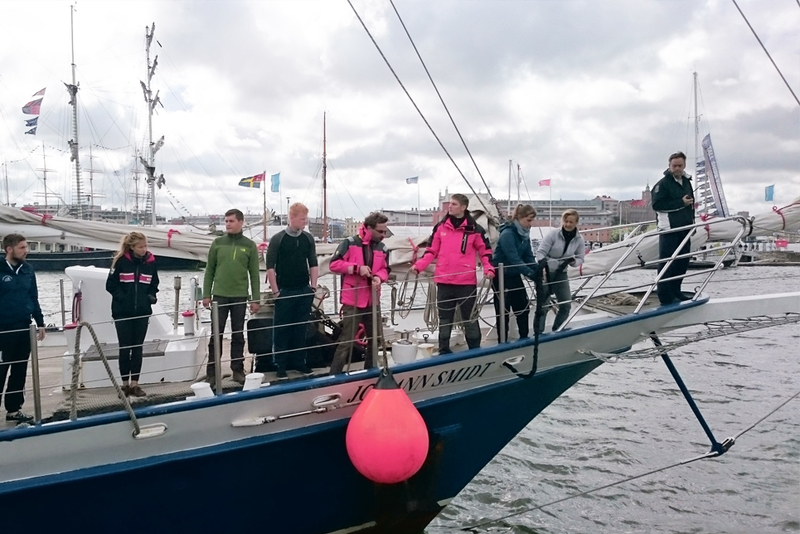 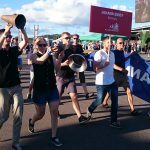 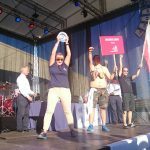 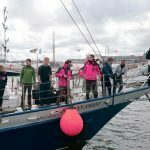 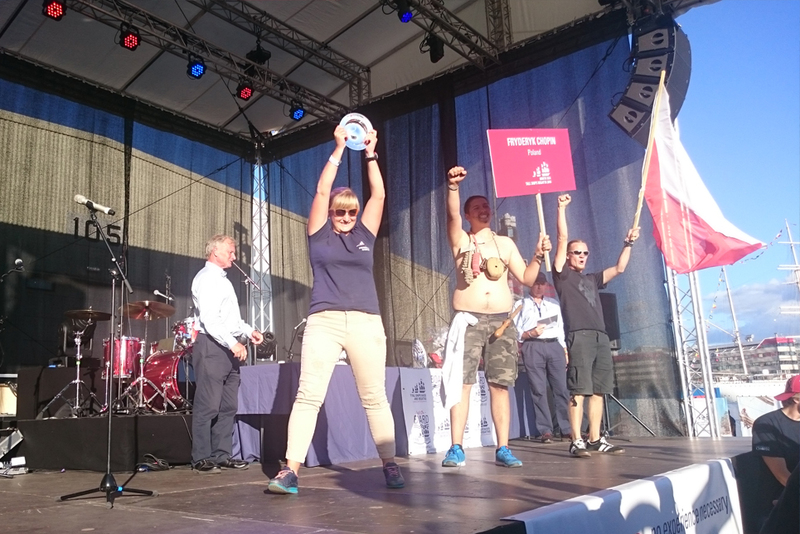 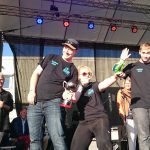 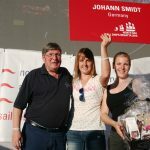 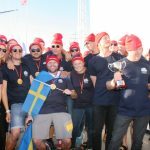 Welcome to the North Sea Regatta 2016 in Gothenburg. 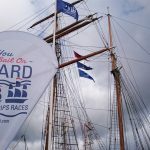 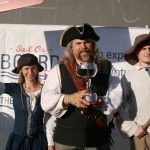 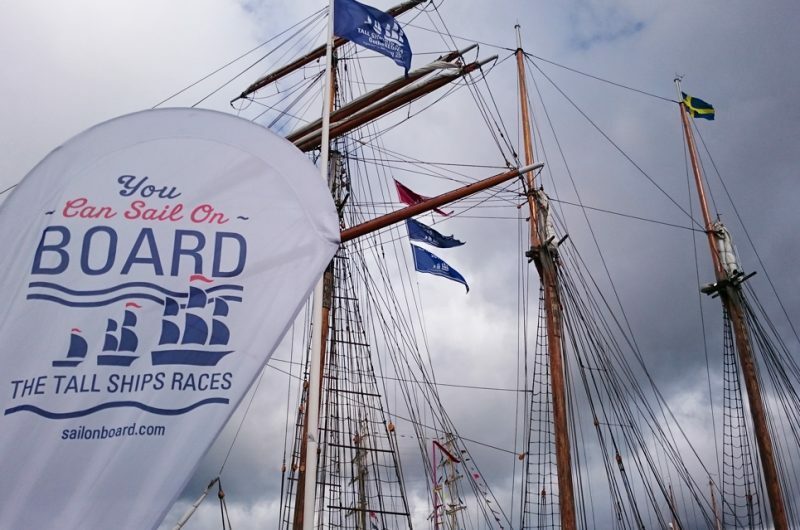 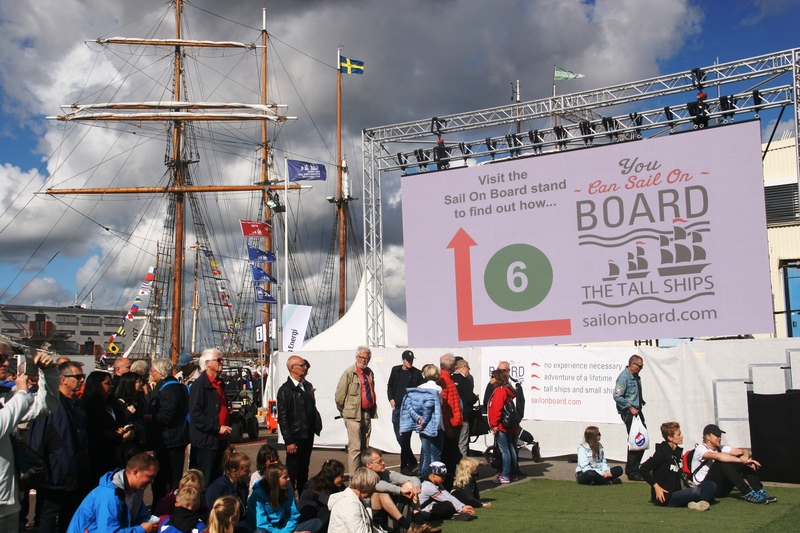 Visit the Sail On Board stand! 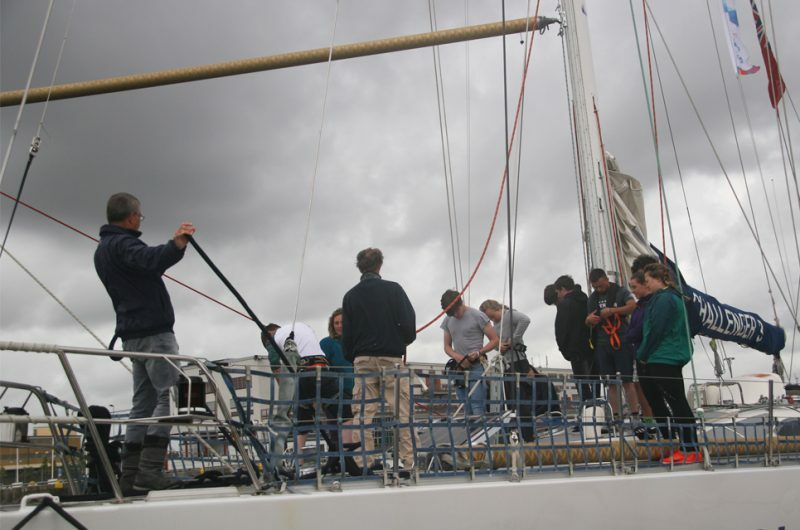 Oman Bursary trainees on board Vega Gambleby. 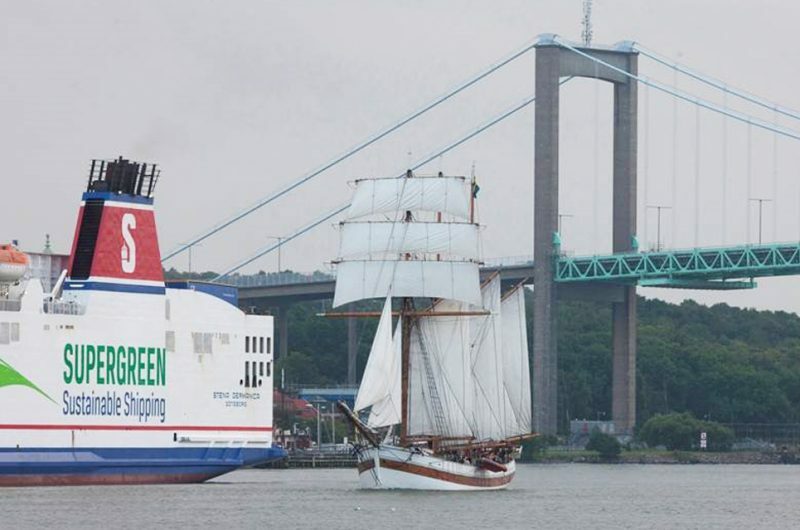 A Titanic moment in Gothenburg. 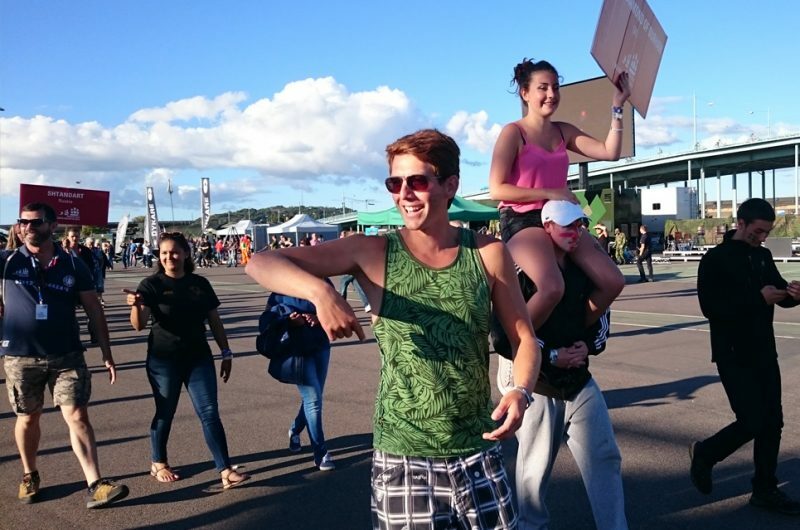 Having fun at the Crew Stage Challenge. 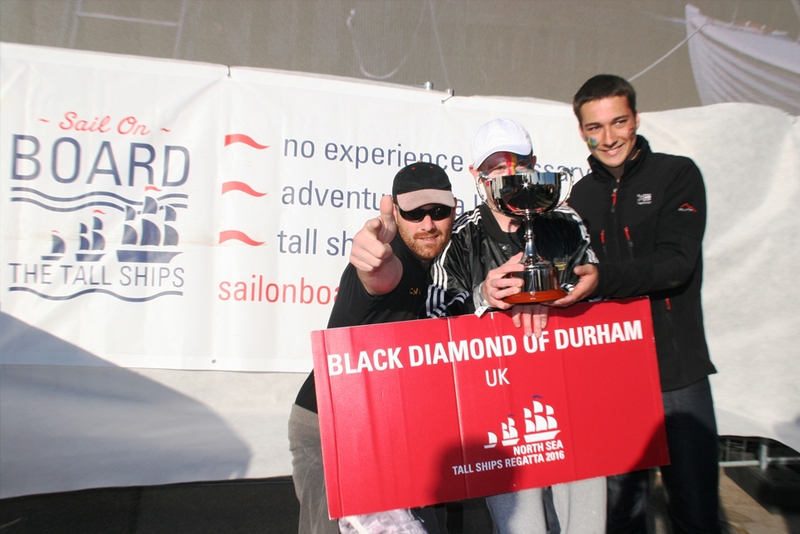 Black Diamond of Durham at the Prize-Giving Ceremony. 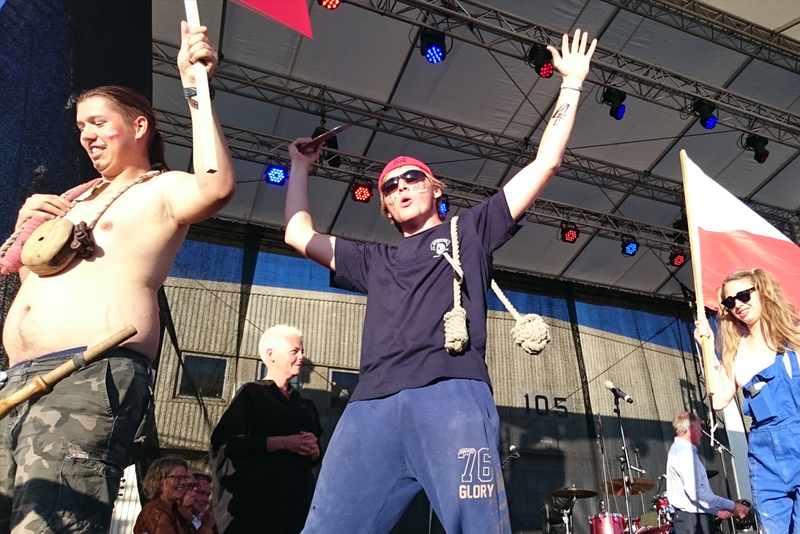 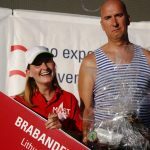 Brabander at the Prize-Giving Ceremony. 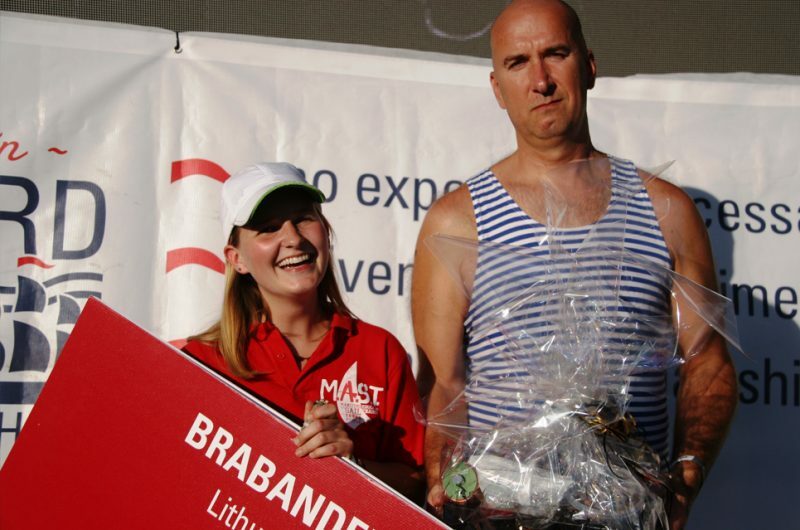 Christian Radich at the Prize-Giving Ceremony. 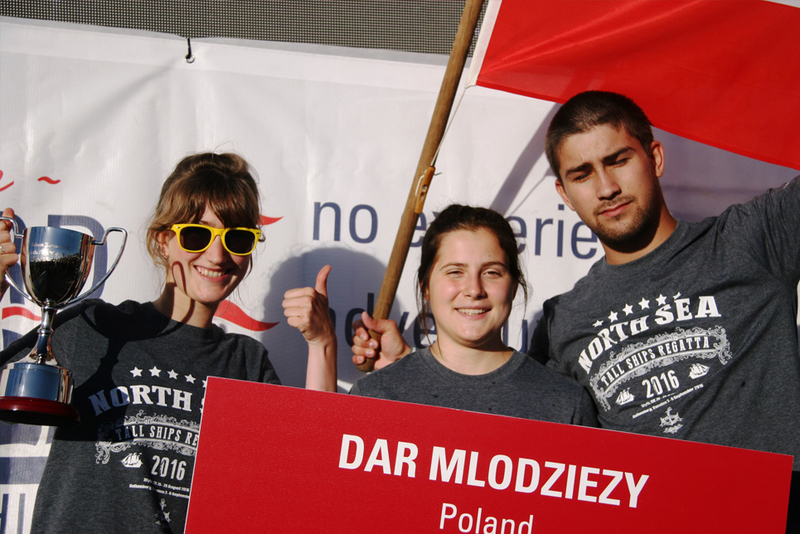 Dar Mlodziezy at the Prize-Giving Ceremony. 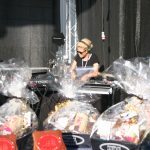 The DJ at the Prize-Giving Ceremony. Fryderyk Chopin at the Prize-Giving Ceremony. Johann Smidt at the Prize-Giving Ceremony. 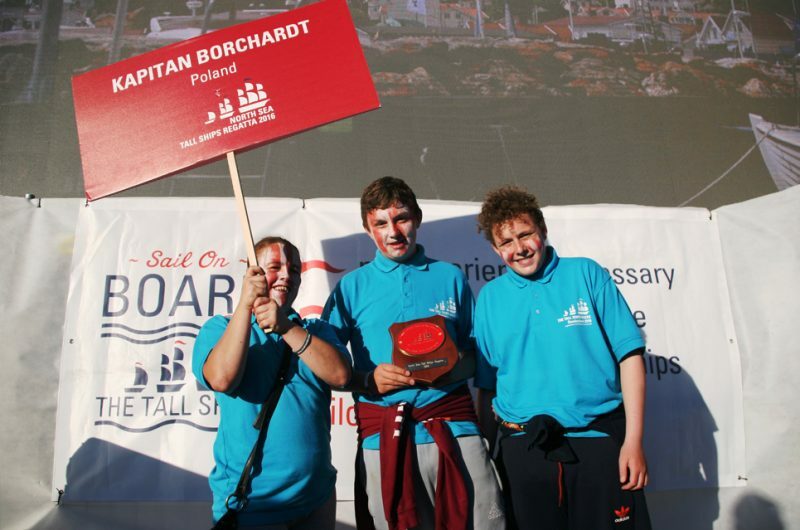 Kapitan Borchardt at the Prize-Giving Ceremony. 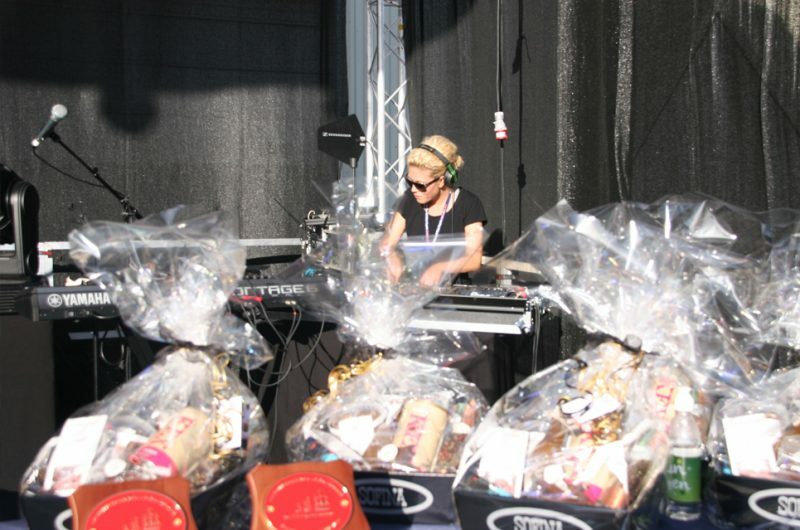 Maybe at the Prize-Giving Ceremony. 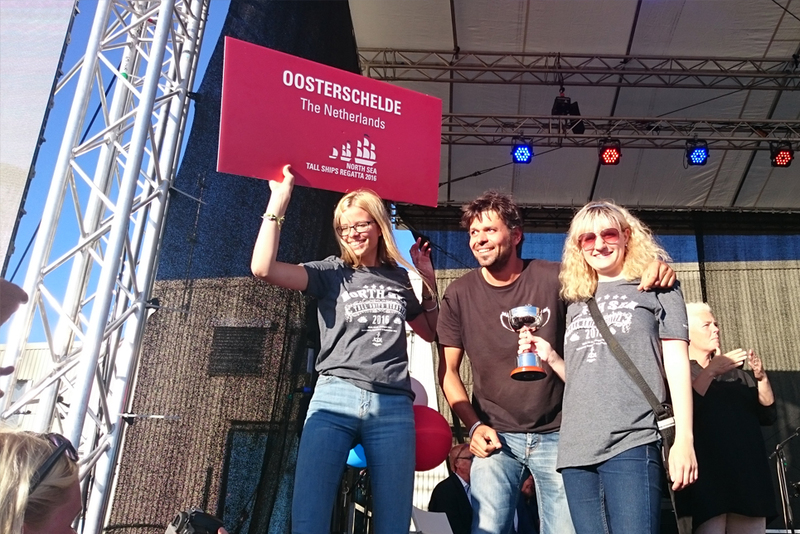 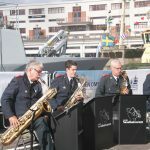 Oosterschelde at the Prize-Giving Ceremony. Shtandart at the Prize-Giving Ceremony. 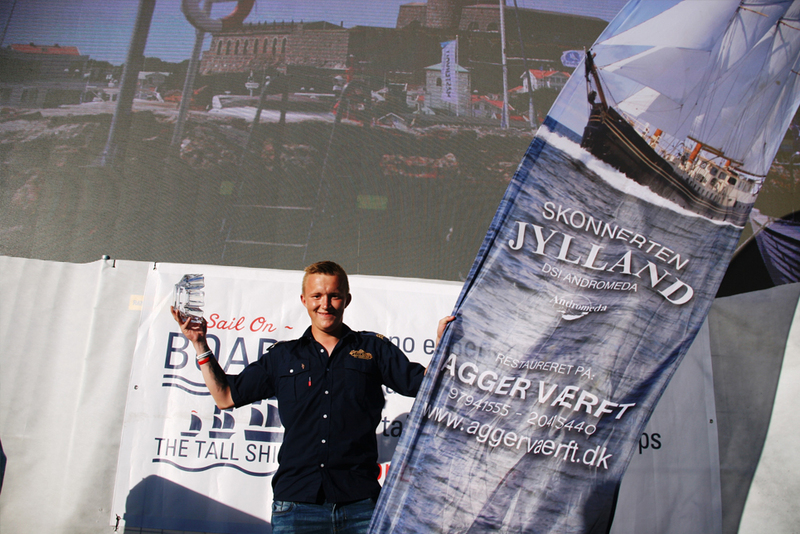 Kaspar Nielsen winning the Best Team Player award. Thalassa at the Prize-Giving Ceremony. 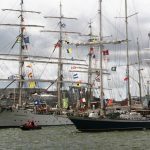 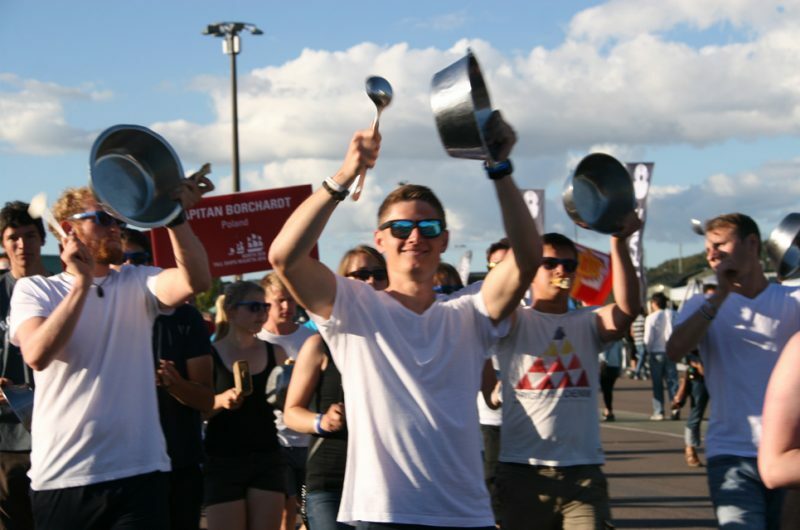 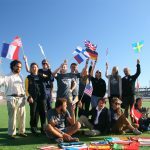 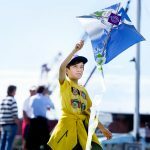 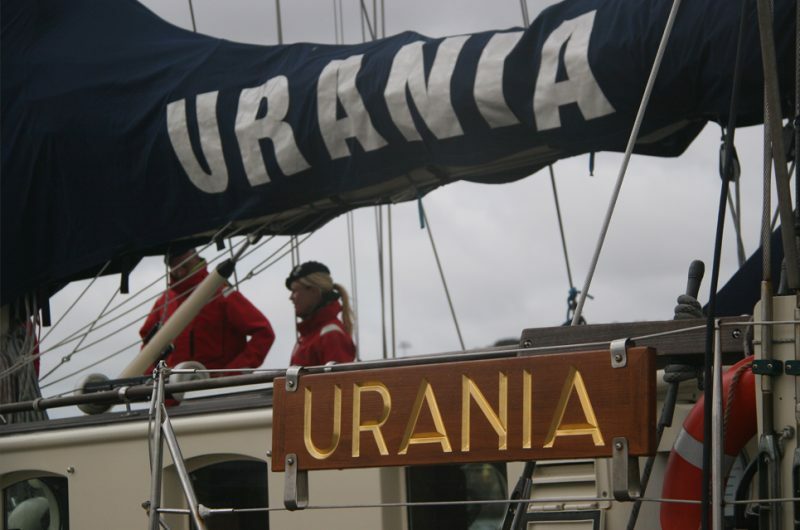 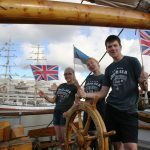 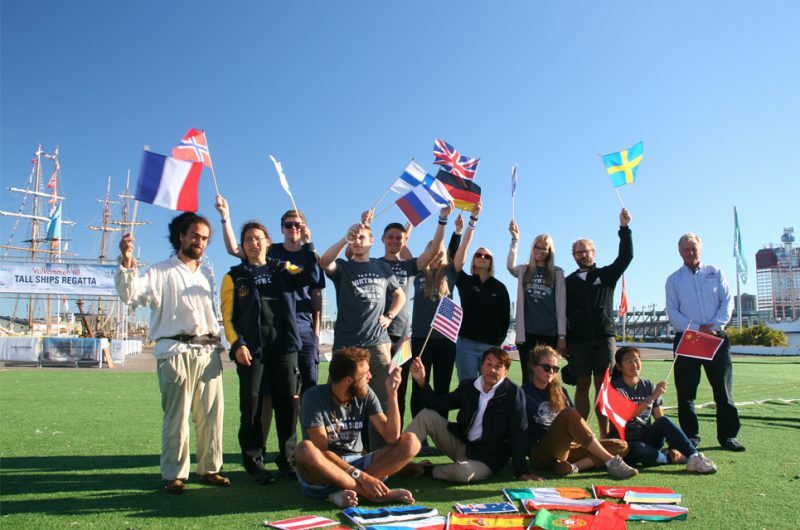 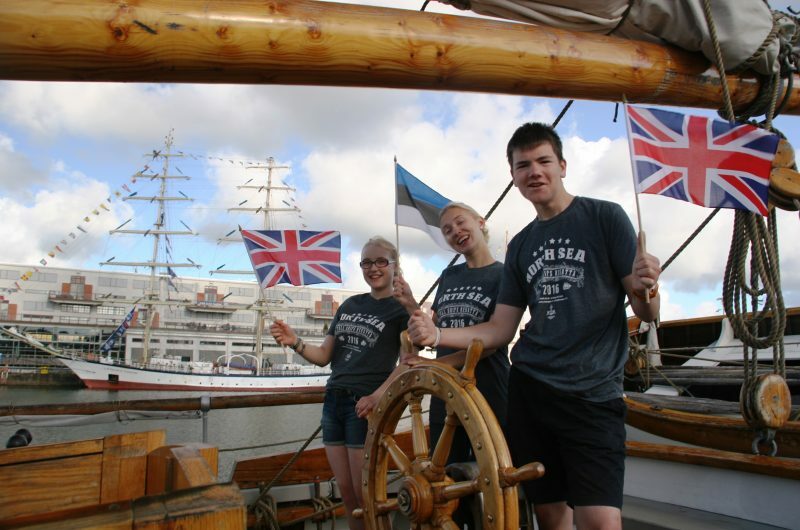 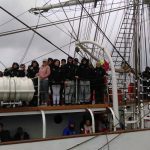 Representing the different nationalities at the North Sea Tall Ships Regatta 2016. 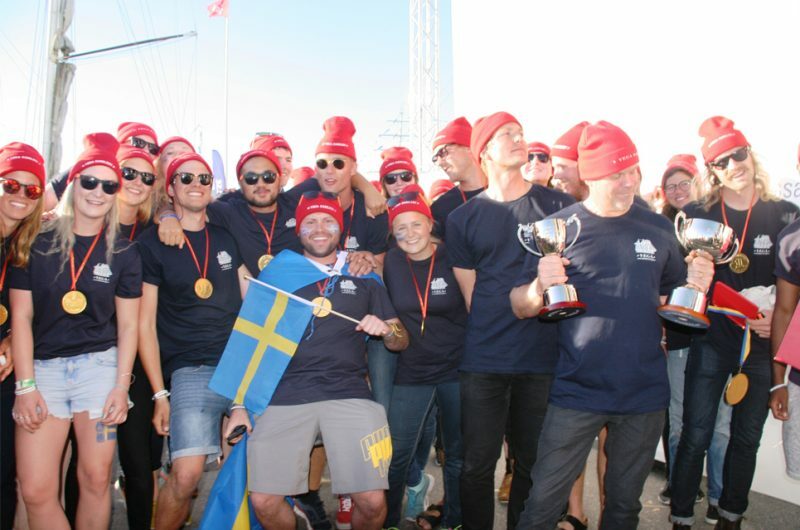 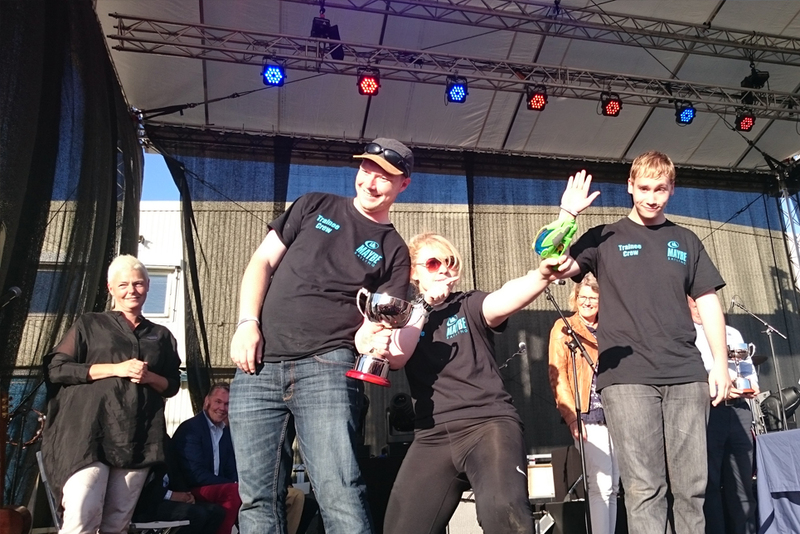 The crew of Vega Gamleby at the Prize-Giving Ceremony. 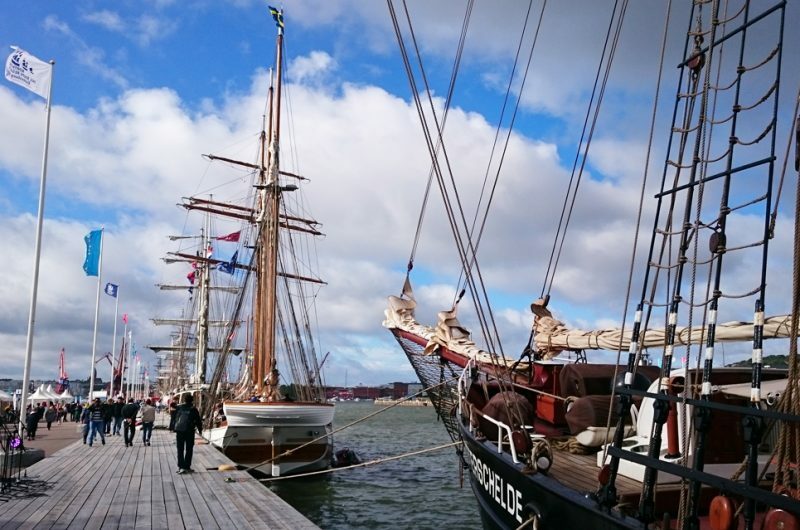 Checking out the fleet during an Open Ship afternoon. 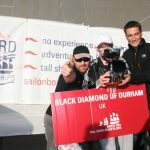 Black Diamond of Durham in the Crew Parade. 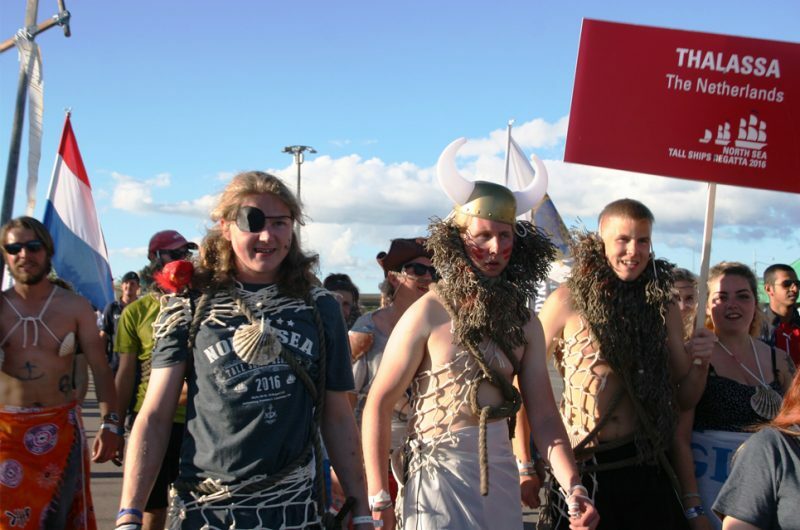 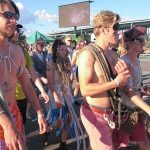 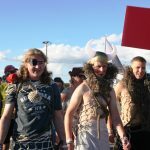 Brabander in the Crew Parade. 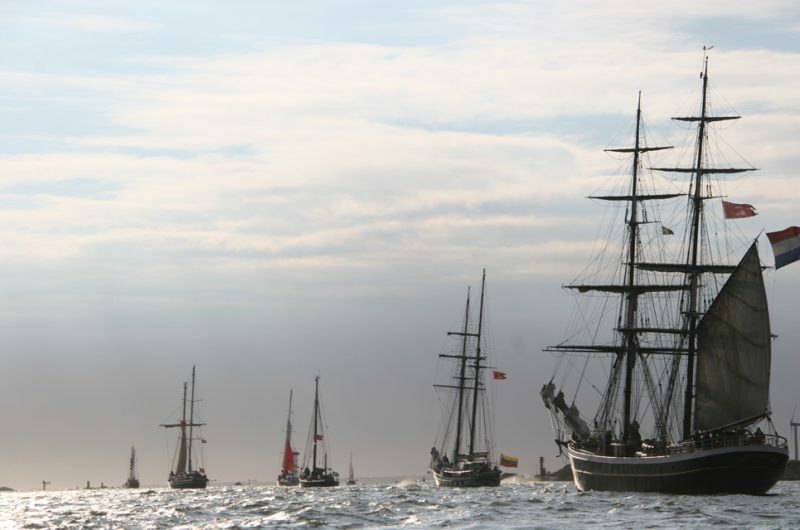 Fryderyk Chopin in the Crew Parade. 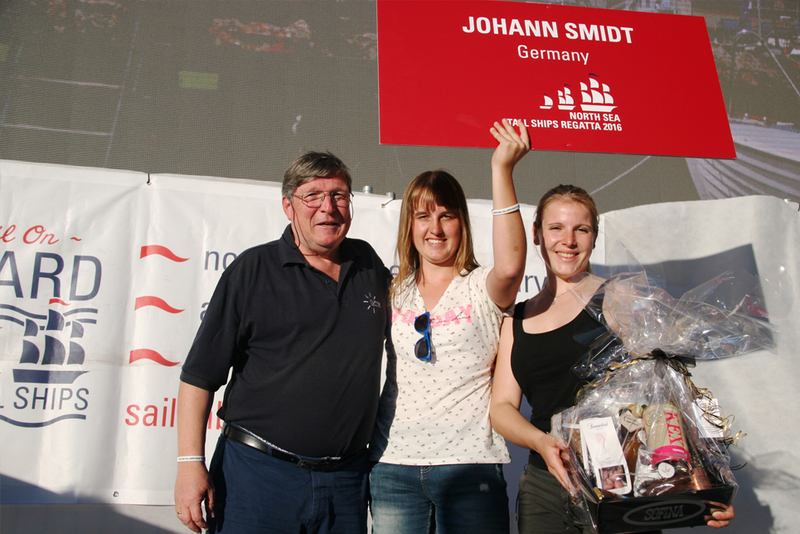 Johann Smidt in the Crew Parade. 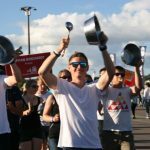 Having fun in the Crew Parade. 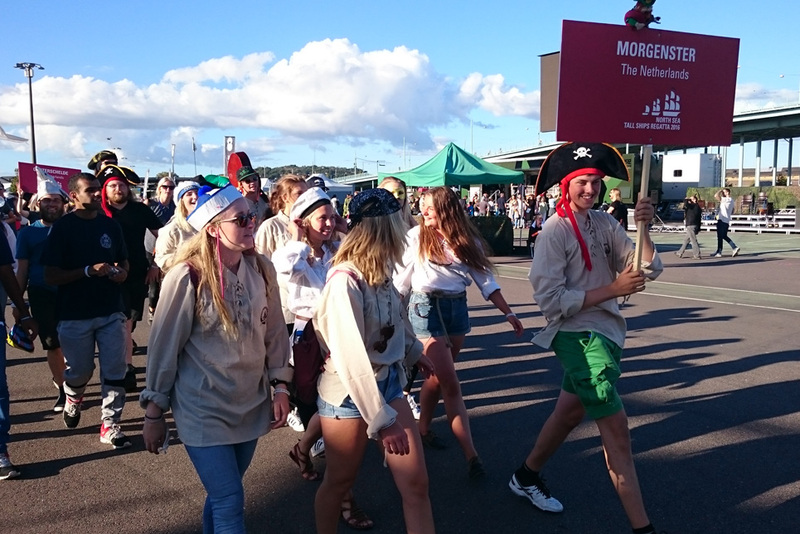 Morgenster in the Crew Parade. 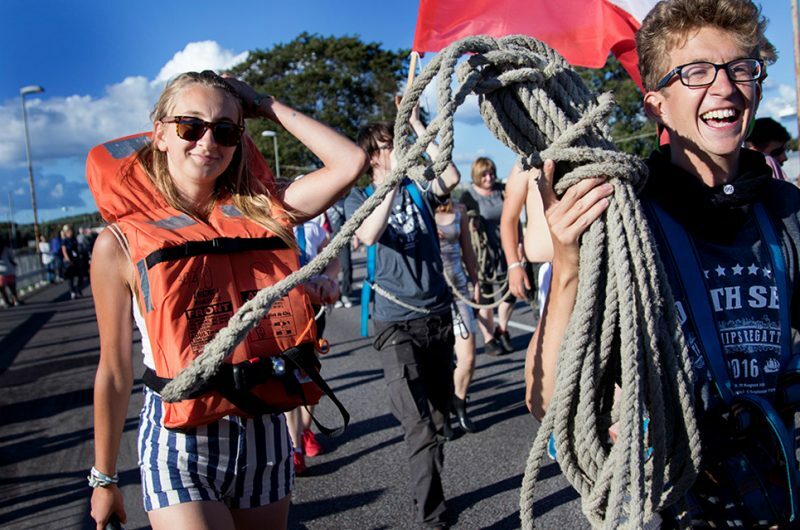 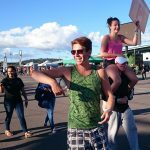 Trainees enjoying the Crew Parade. 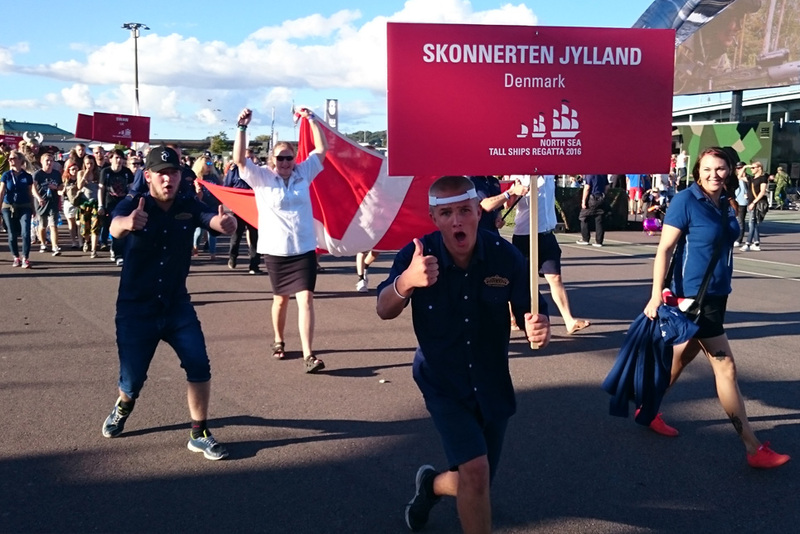 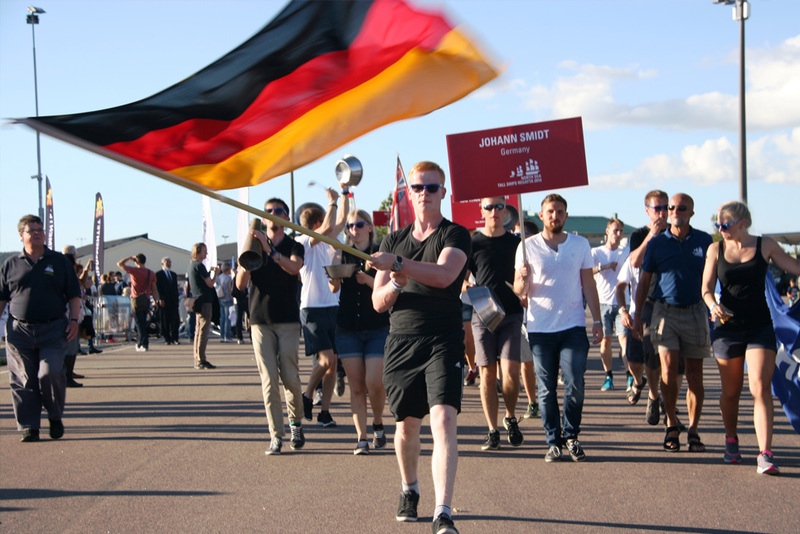 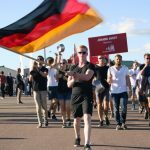 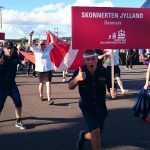 Skonnerten Jylland in the Crew Parade. 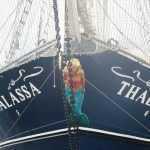 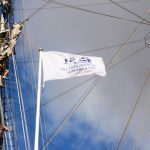 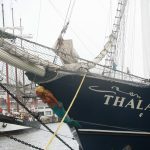 Thalassa in the Crew Parade. 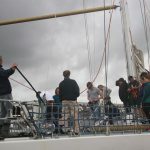 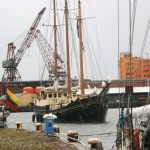 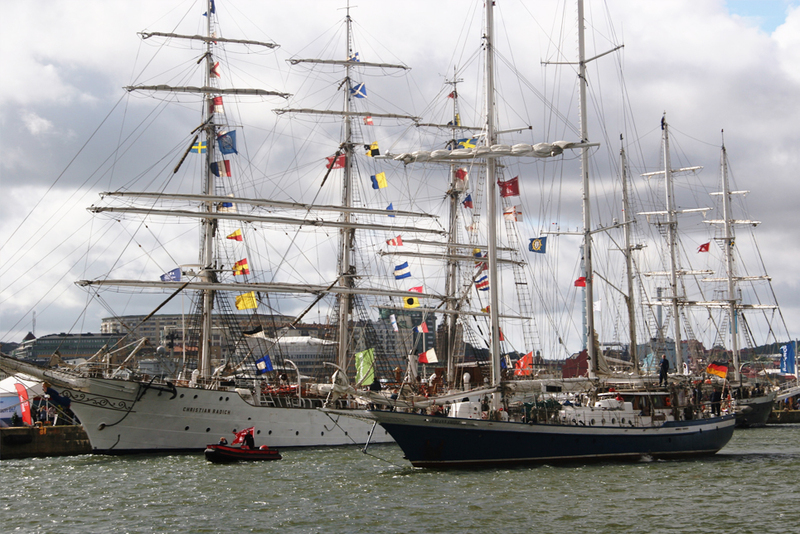 Visitors getting up close to the Tall Ships. Crews enjoying the rowing competition. 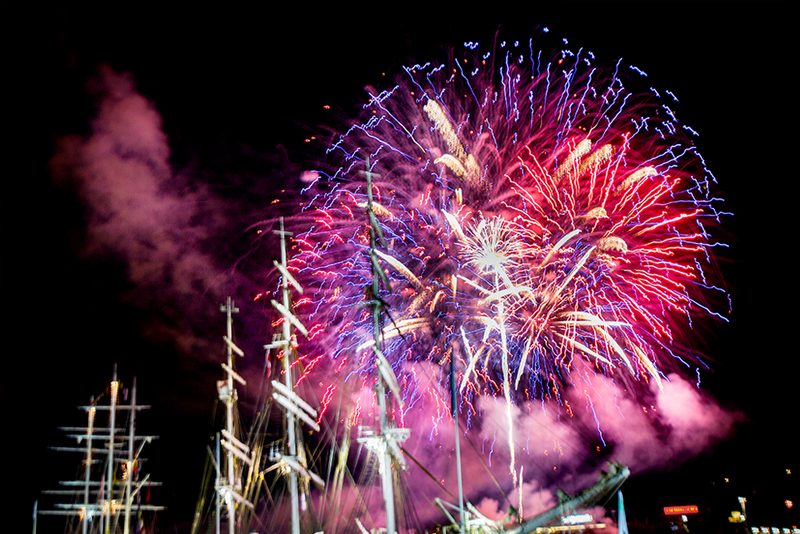 Watching the fireworks from the Tall Ships fleet. 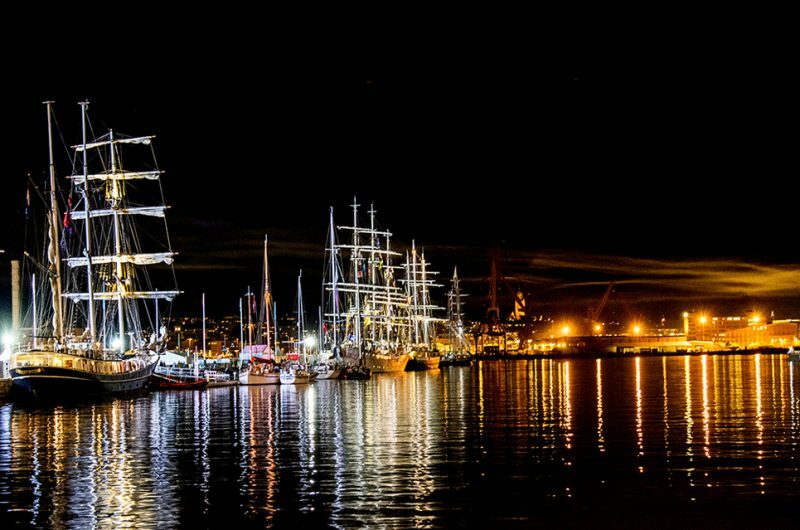 The spectacular fleet on the last night in Gothenburg. Christian Radich in the Parade of Sail, Gothenburg. 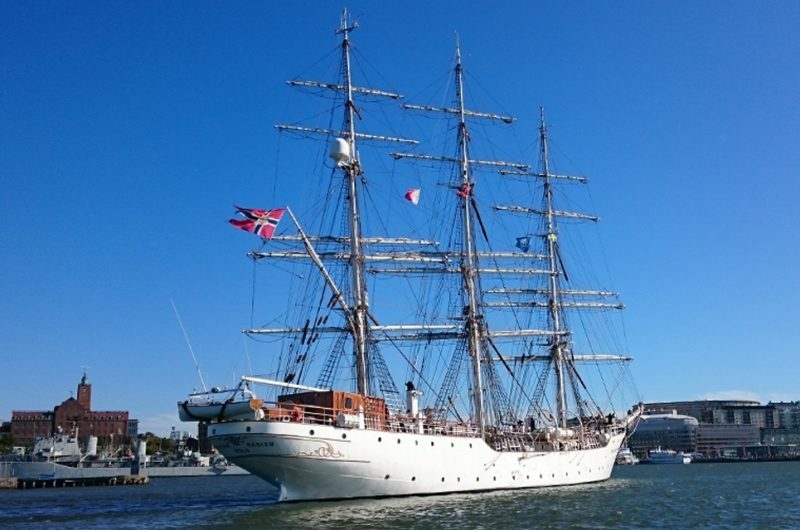 Dar Mlodziezy in the Parade of Sail, Gothenburg. Lord Nelson in the Parade of Sail, Gothenburg. 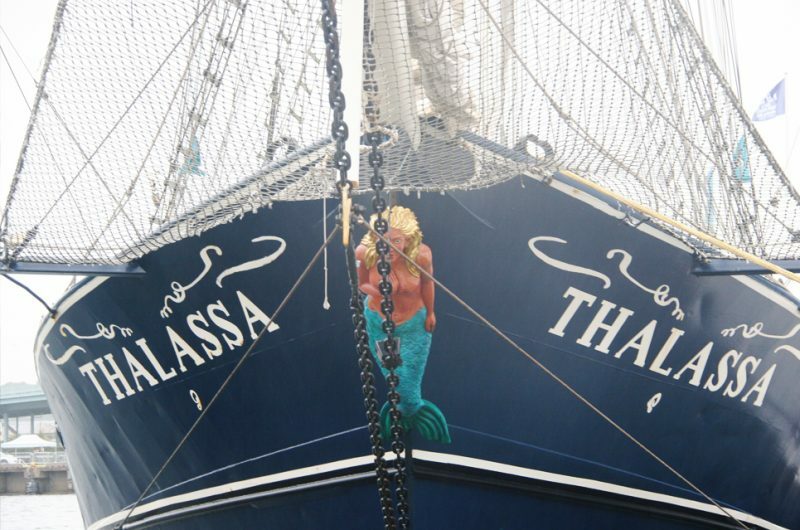 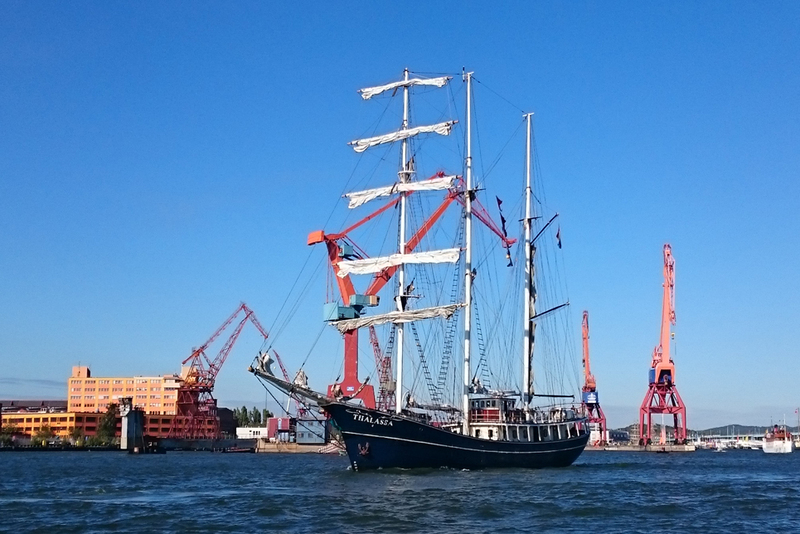 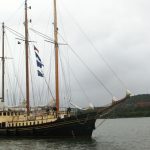 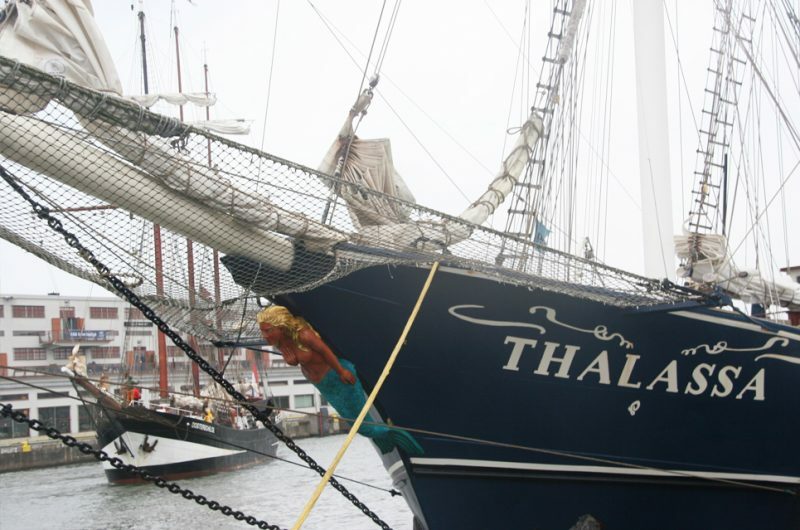 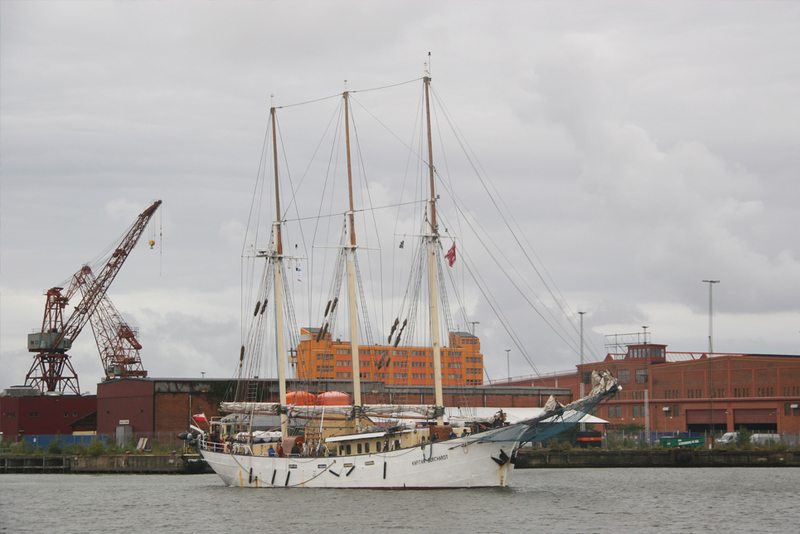 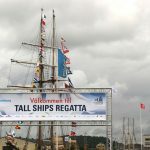 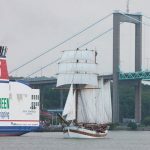 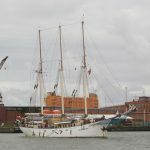 Thalassa in the Parade of Sail, Gothenburg. 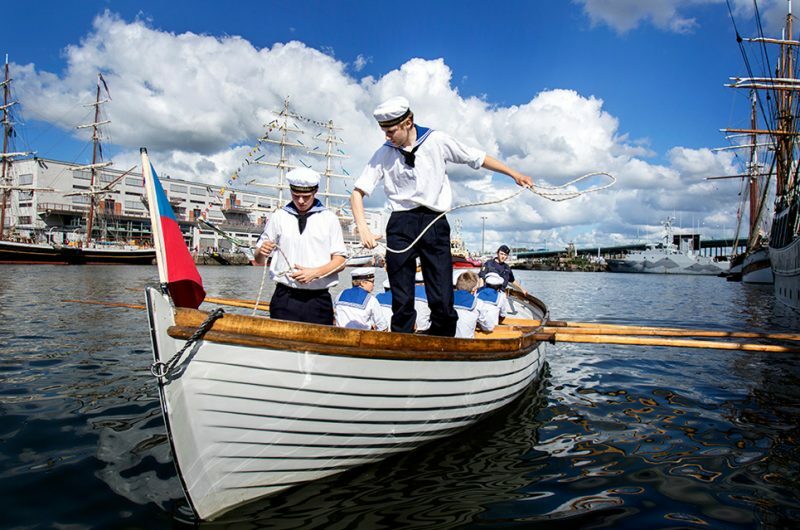 Shtandart in the Parade of Sail, Gothenburg. 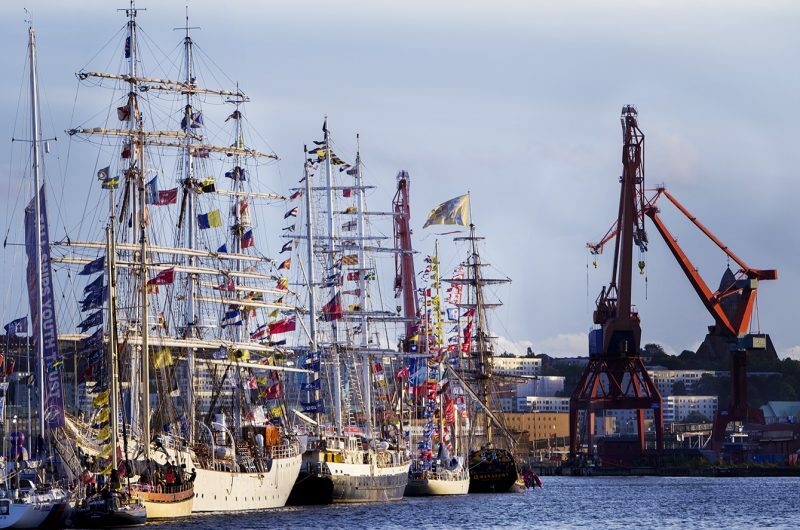 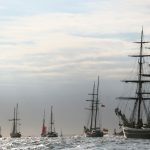 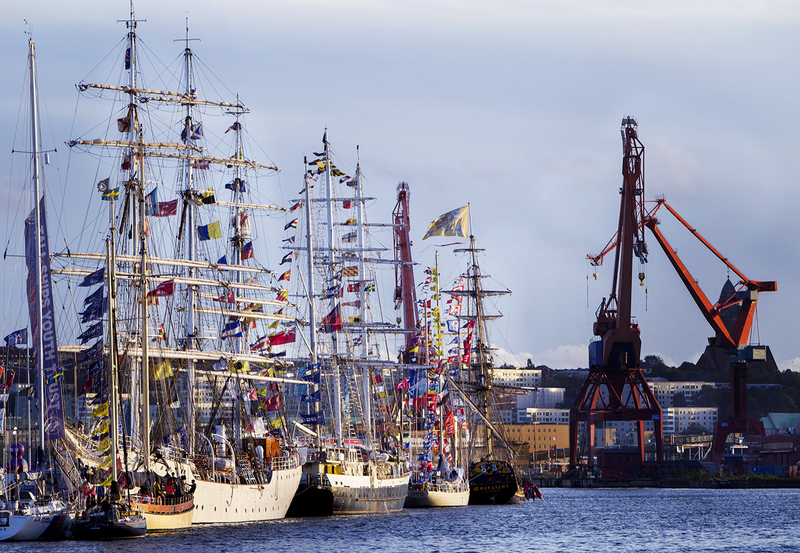 The fleet in the Parade of Sail, Gothenburg. 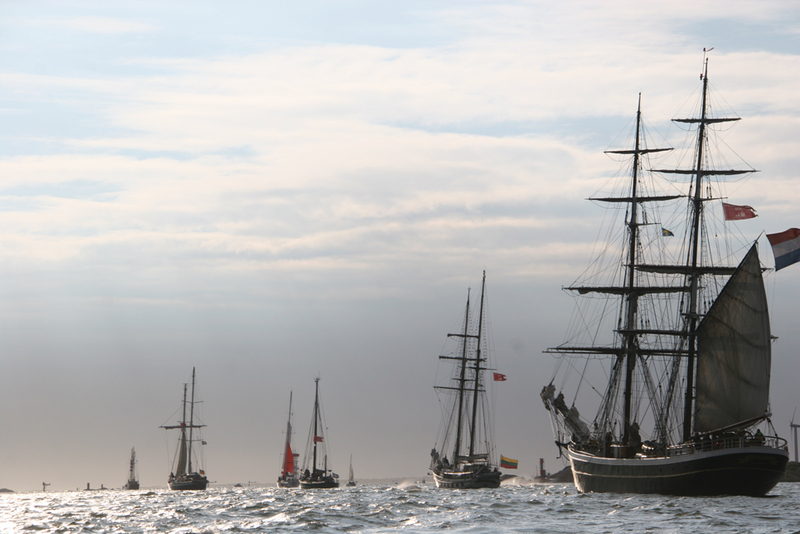 Vessels from the fleet of the North Sea Tall Ships Regatta at sea. 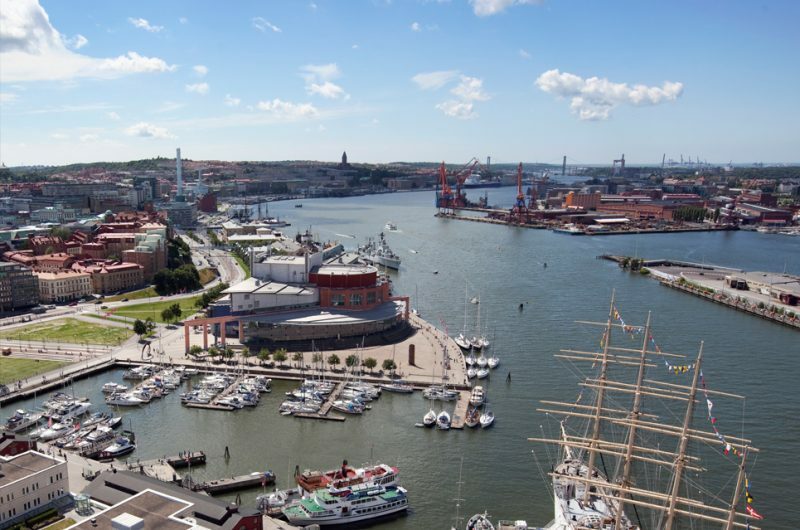 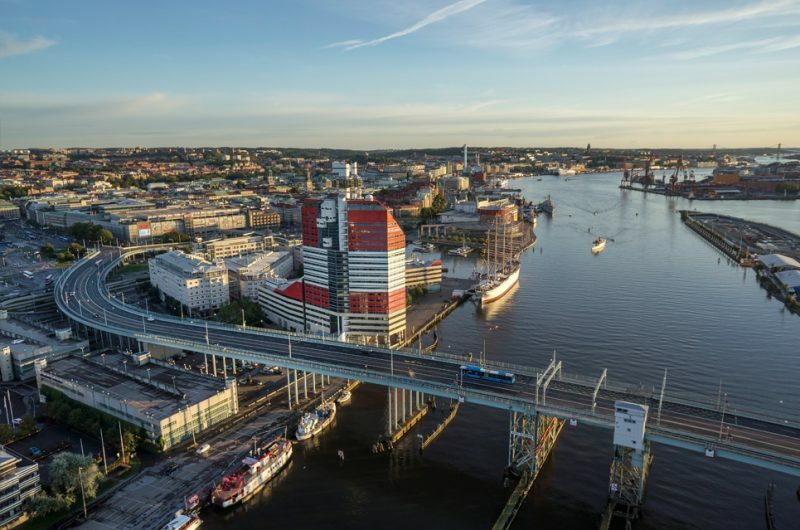 In 2013, Forbes named Gothenburg as the 12th most inventive city in the world. 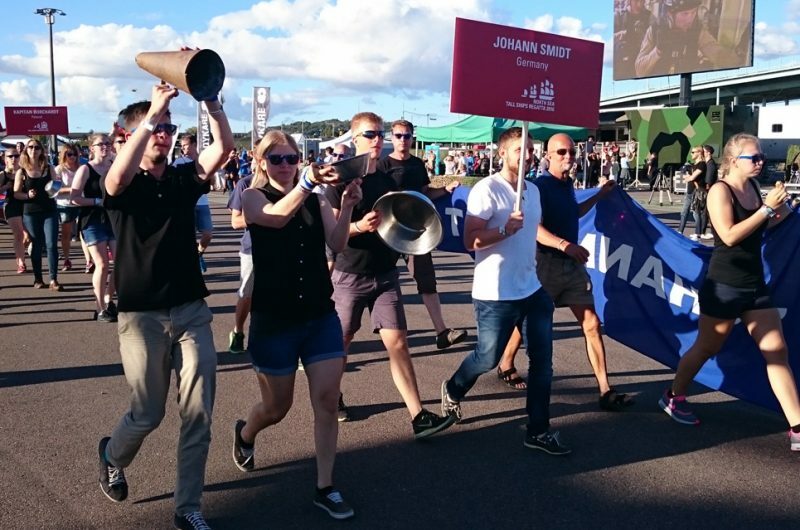 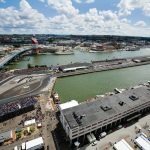 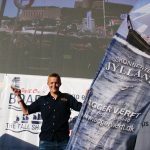 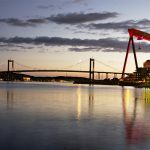 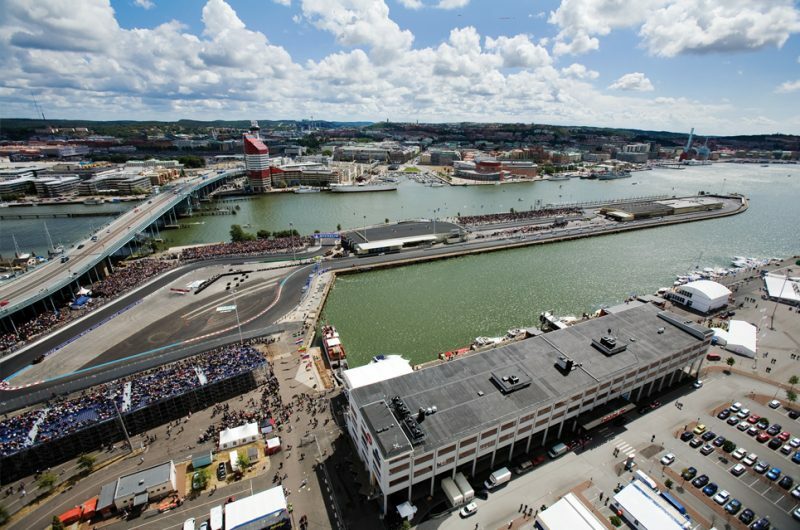 It’s also known for hosting some of the biggest and most exciting annual events in Sweden – the Volvo Ocean Race will stop over again in 2017-18. 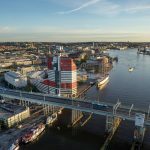 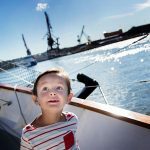 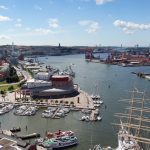 Gothenburg is committed to sustainability and the environment ­– the Port Authority has been a carbon-neutral company since 2015. The Port of Gothenburg is the largest in the Nordic countries. 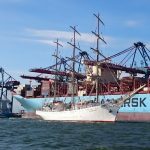 This makes its efforts to reduce the environmental impact of shipping and its dedication to sustainable transport all the more important. 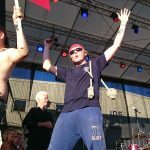 Max Markusson, Director of Events at Gothenburg & Co. 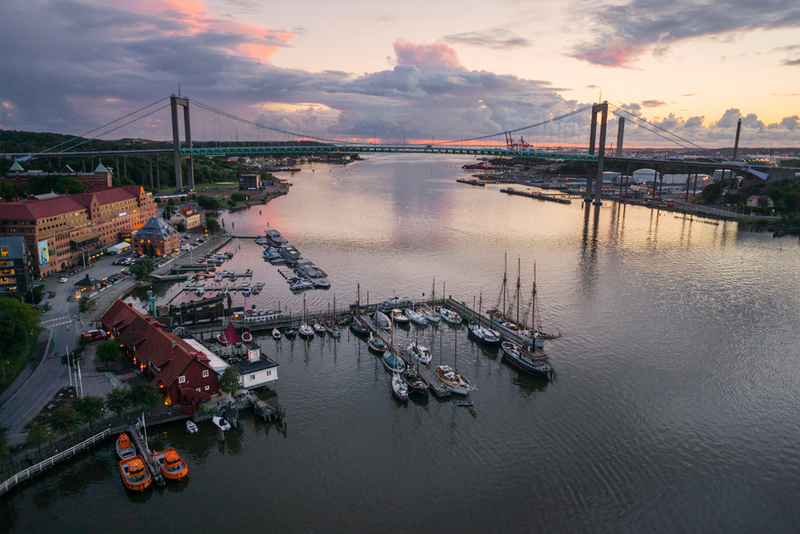 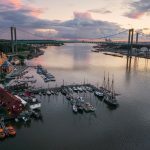 The port is located at Södra Frihamnspiren, which is around 1 km from Gothenburg Central Station. It’s easy to get to by foot, bike or public transport. For vessels, the port is navigable 24 hours per day, tugs/pilots aren’t compulsory, there’s no tide, beam or height limitation, and no darkness restrictions. Full details of the layout of the event venue can be found here. 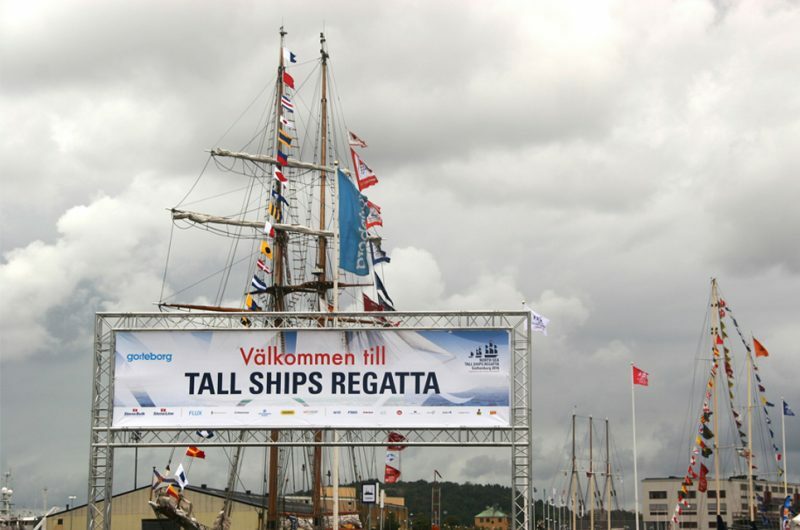 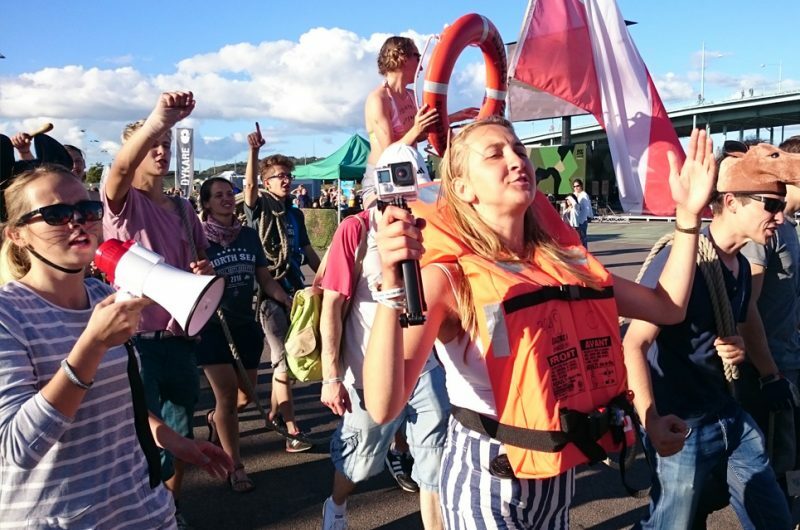 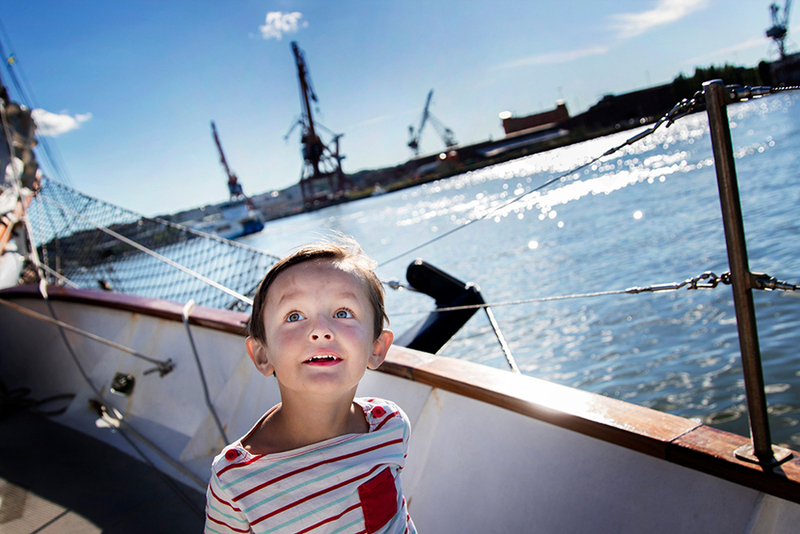 Applictaions for media accreditation can be completed through Gothenburg's host port website.